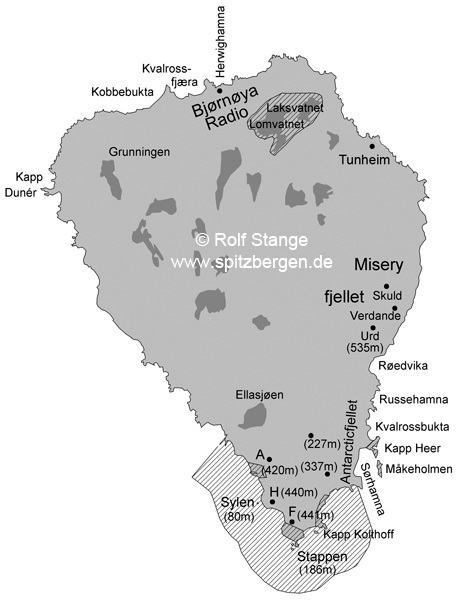 (more information in the text above). 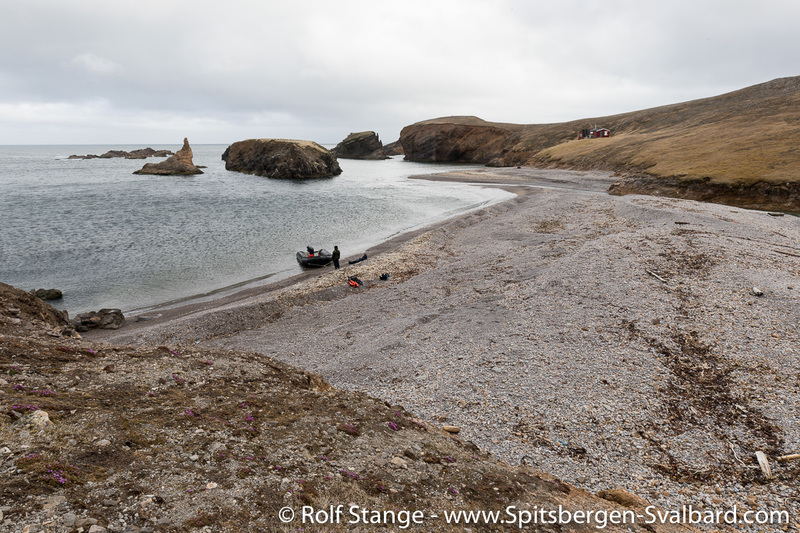 Click here for panorama images from Bjørnøya. 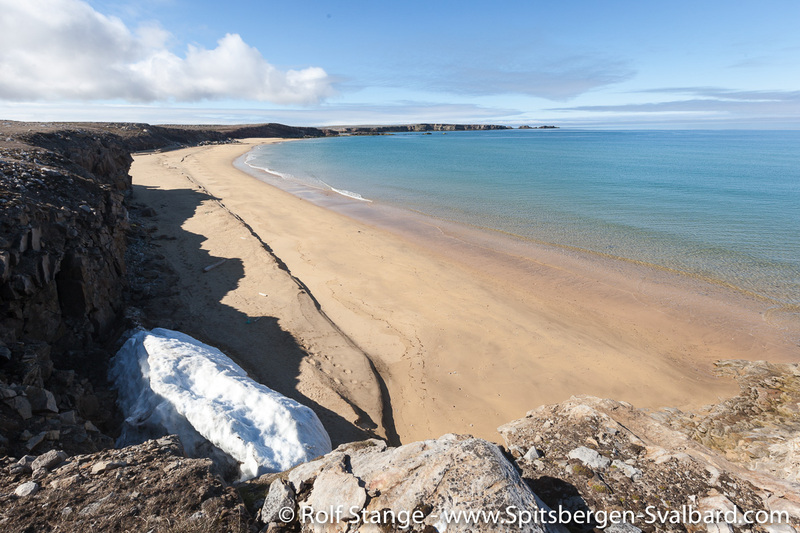 In the past, Bjørnøya was often surrounded by drift ice in late winter (mainly March-May), but usually ice-free during the summer months. 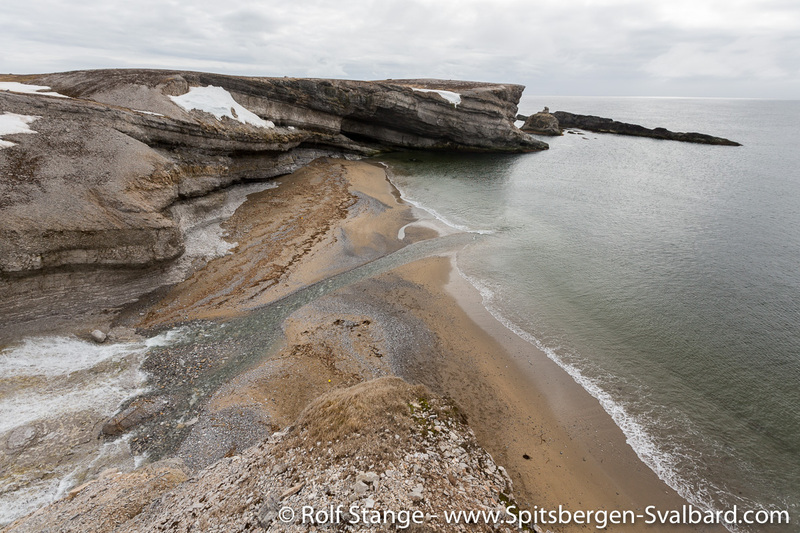 These days, the drift ice reaches rarely so far south. 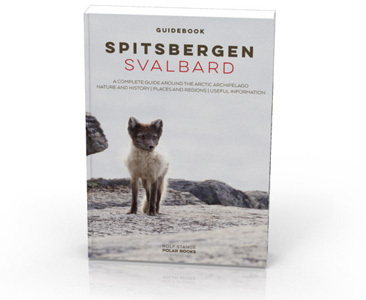 If you read German, then I can recommend the following: there is a book especially dedicated to Bear Island, written by the present author and owner of this website. 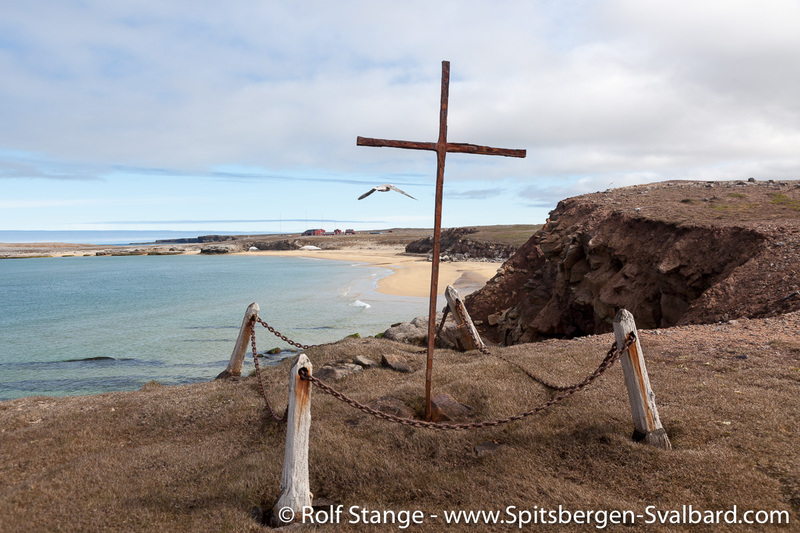 Signpost near the weather station Bjørnøya Meteo. 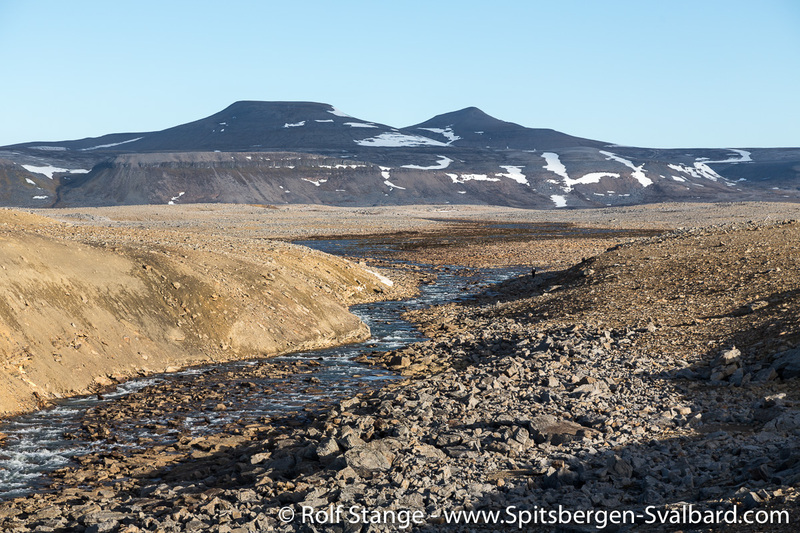 Geology: Varied. 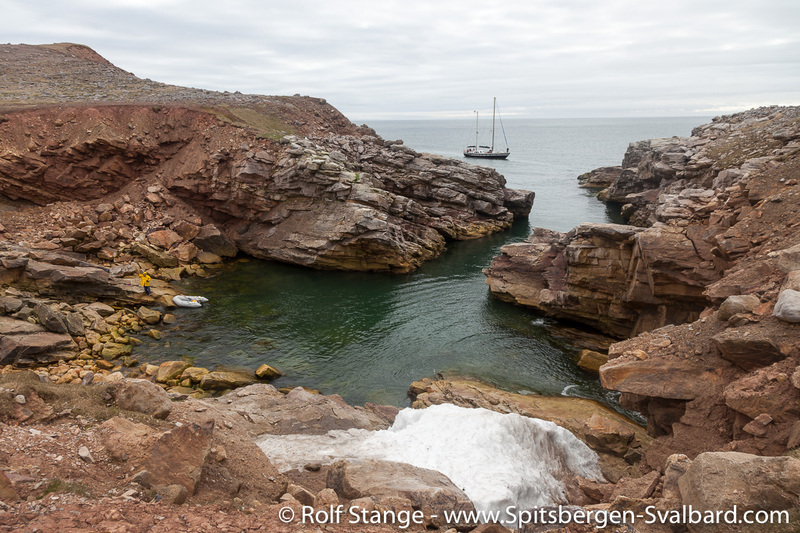 Partly basement rocks (Silurian and older), partly younger sedimentary cover (Devonian and younger). 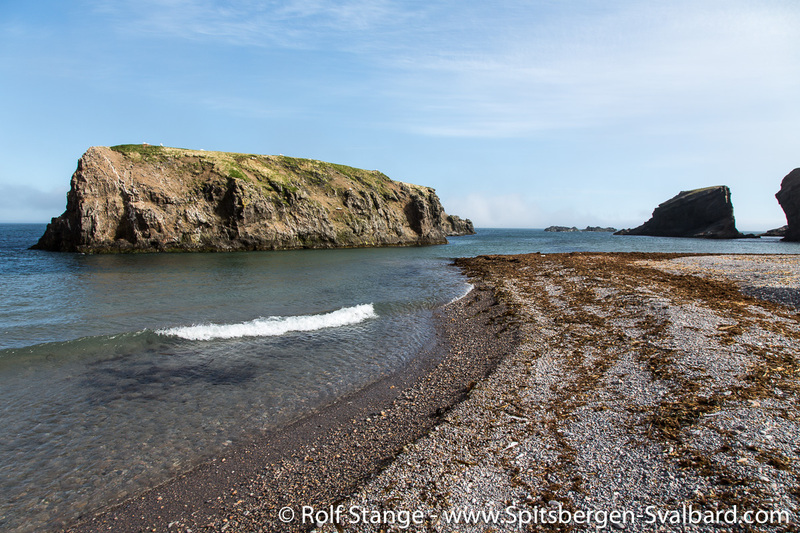 There are Devonian sediments in the northeastern part of Bjørnøya, which include coal seams. 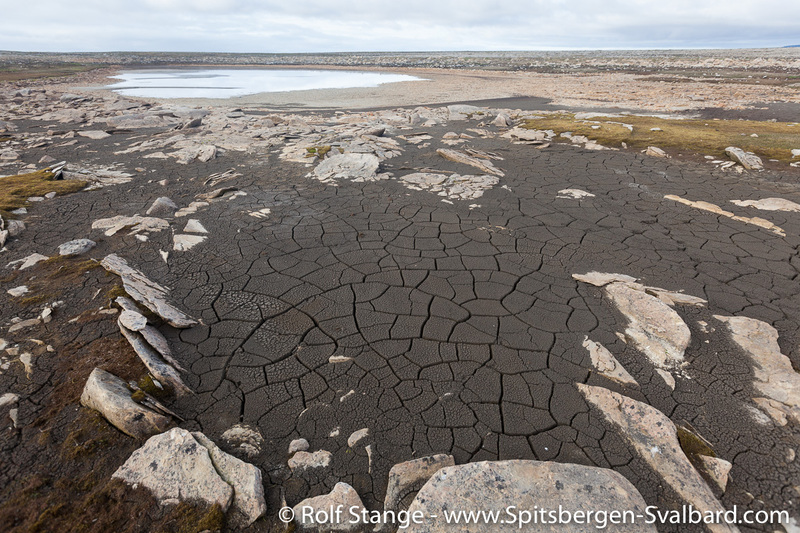 These belong to the oldest coal seams on Earth, as plants, without which there can’t be any coal formation, just started to move on dry land. 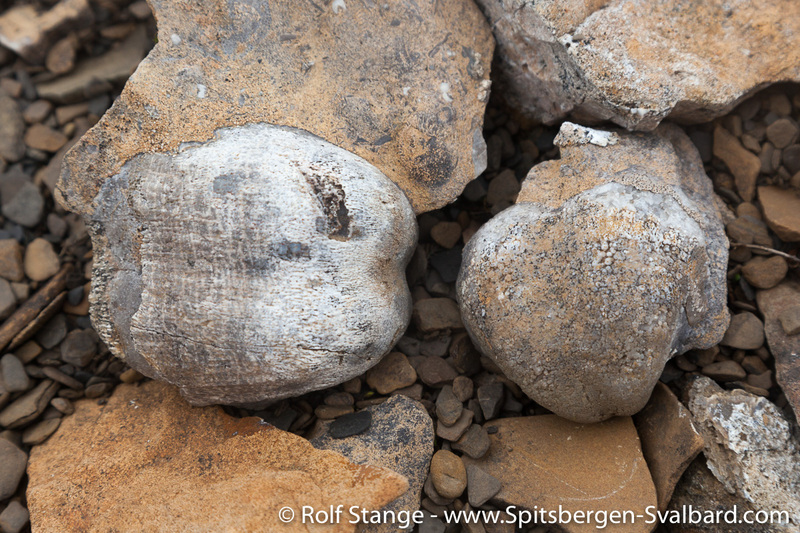 There are various Mesozoic sediments in the southeast. 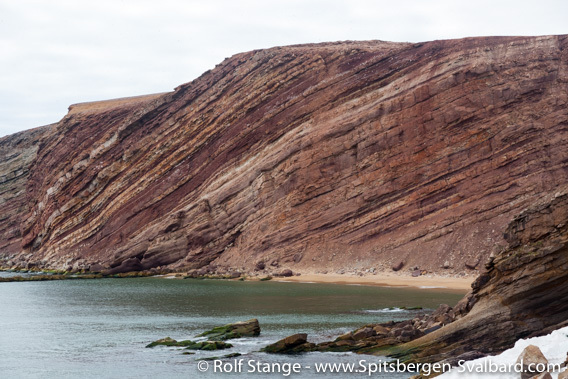 Layers of Carboniferous conglomerates and sandstones at Kapp Harry. 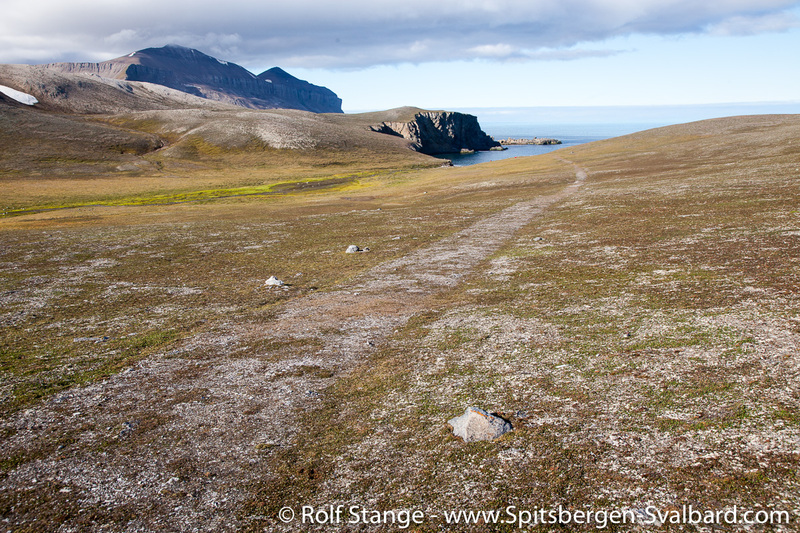 Landscape: Landscape-wise, Bjørnøya is unique within Svalbard. 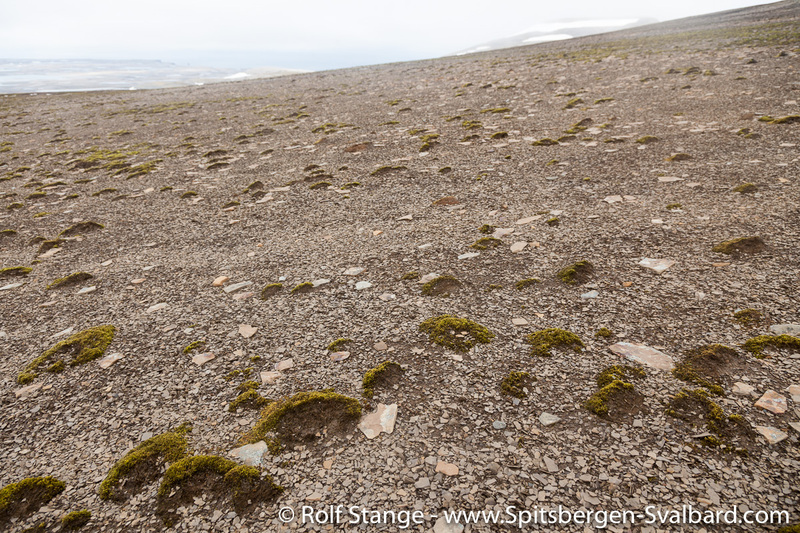 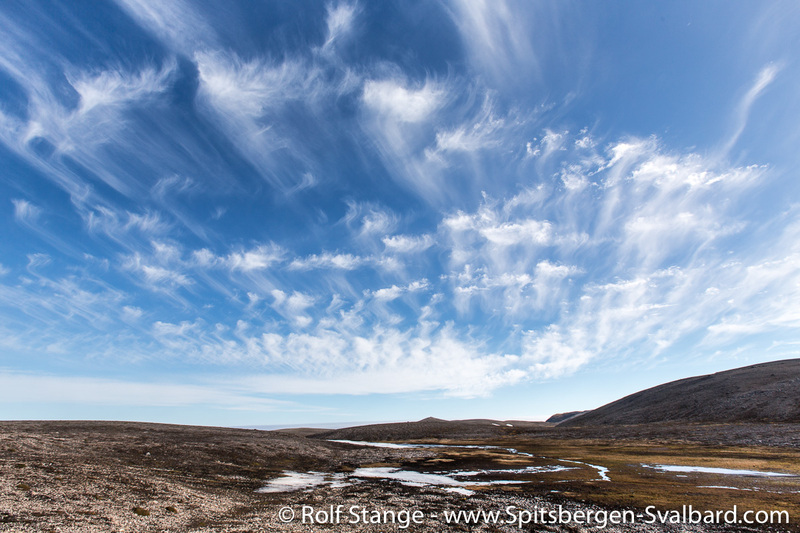 The unglaciated interiour of the island is gently sloping, reaching higher altitudes from north to south, culminating in the south and southeast (Miseryfjellet, 536 m high). 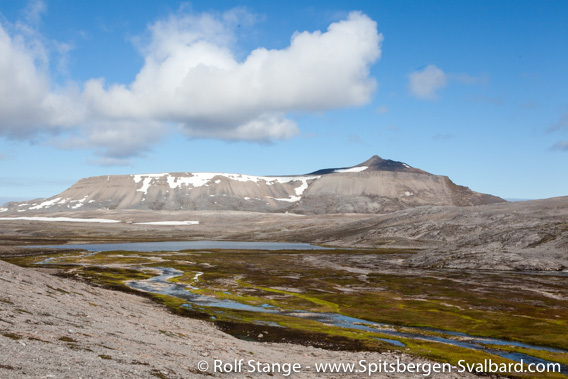 Miseryfjellet, the highest mountain on Bjørnøya, seen from Ymerdalen. 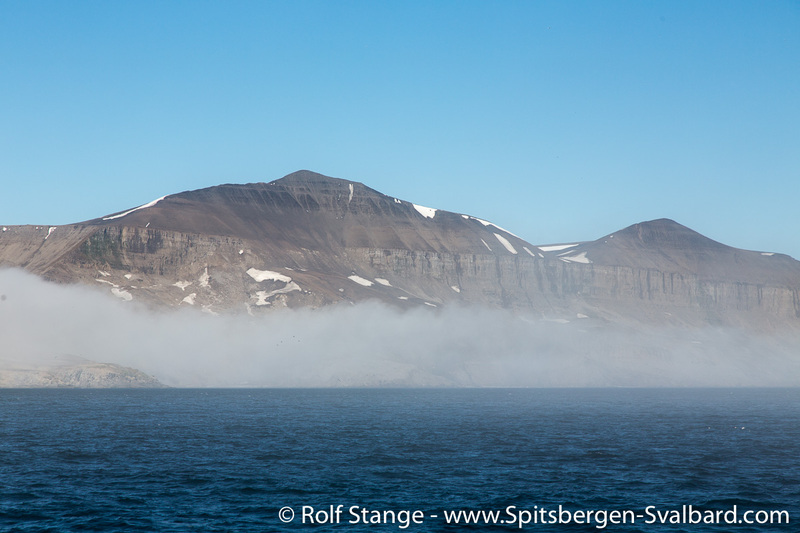 Miseryfjellet, the highest mountain on Bjørnøya, seen from the sea. 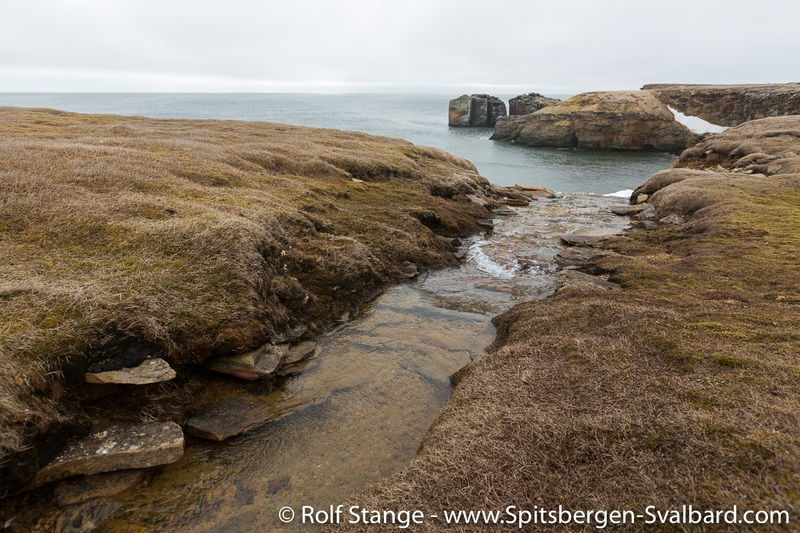 There is a wide lowland area in the northern part of Bjørnøya. 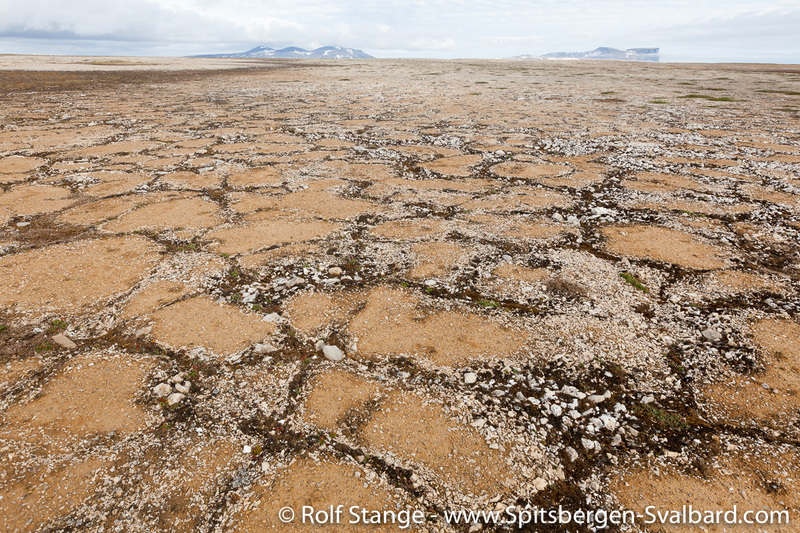 The inland there is very barren, flat and has a large number of mostly very shallow lakes. 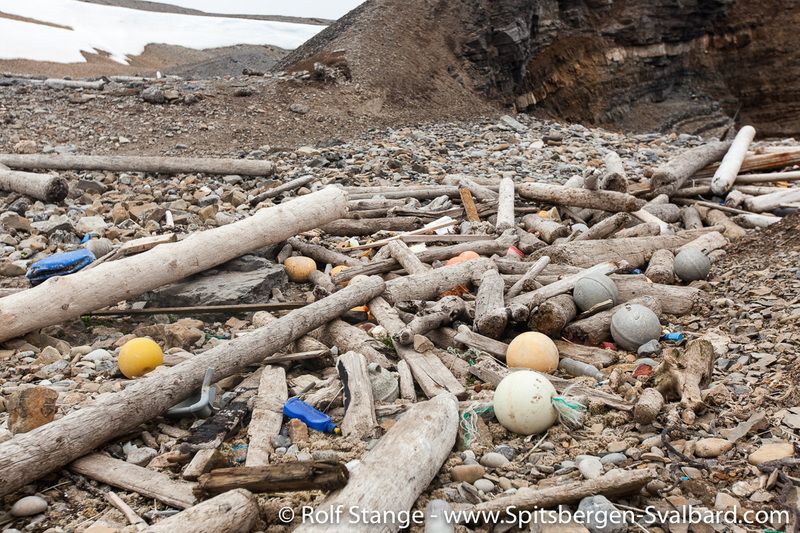 In some of these, environmental toxins have accumulated in worrying concentrations in recent decades. 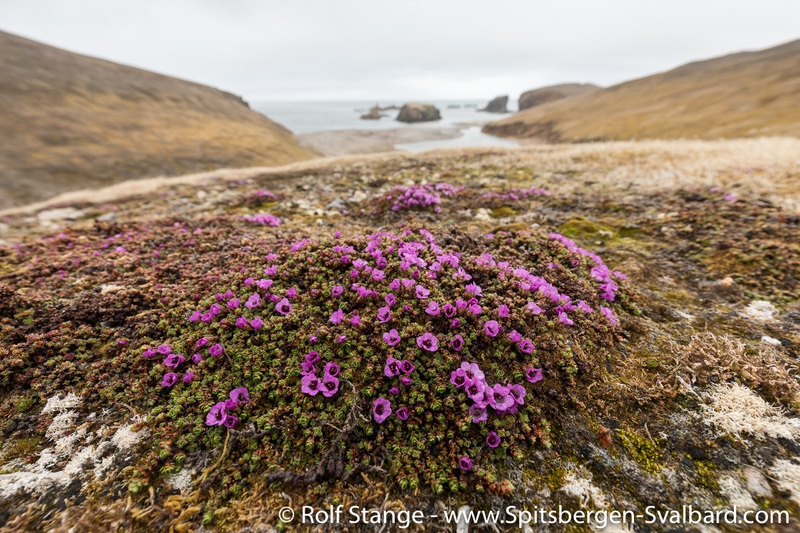 These contaminants have been brought to the Arctic from industrial countries in Europe and North America by oceanic and atmospheric currents. 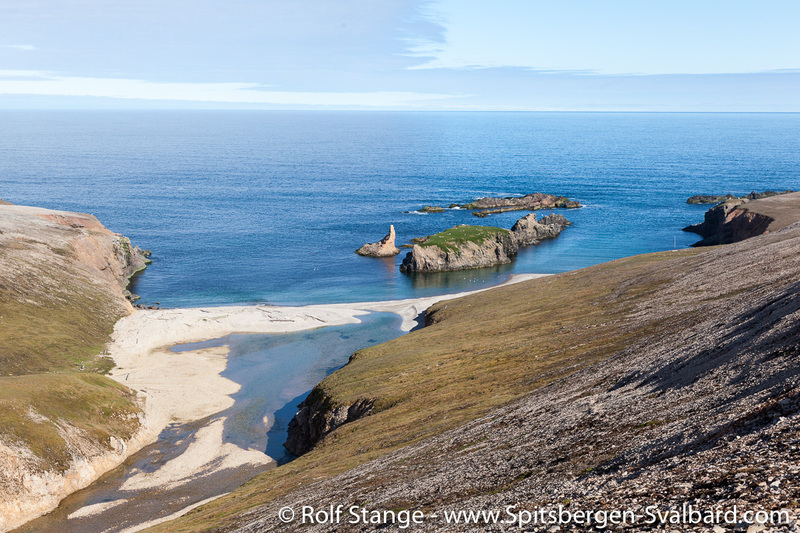 View from Miseryfjellet over the flat land on northern Bjørnøya. 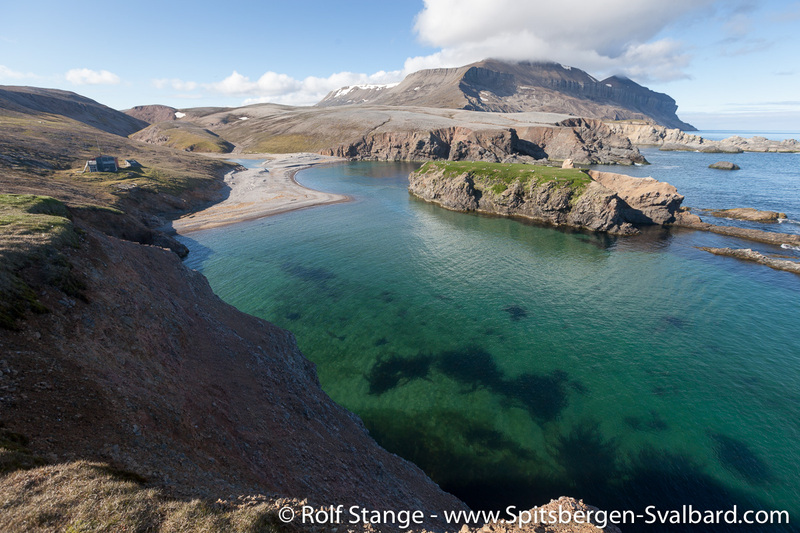 The coasts are quite spectacular. 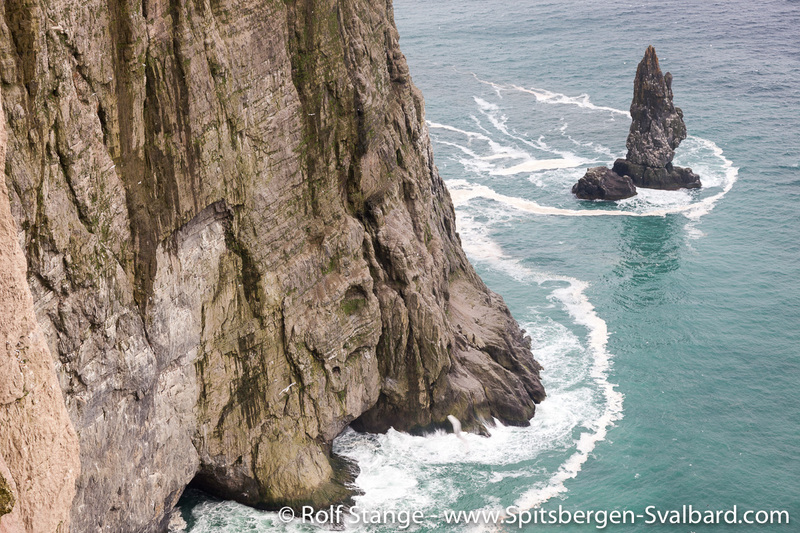 There are only few bays and beaches, but high, near-vertical cliffs, which are highest at the southern tip. 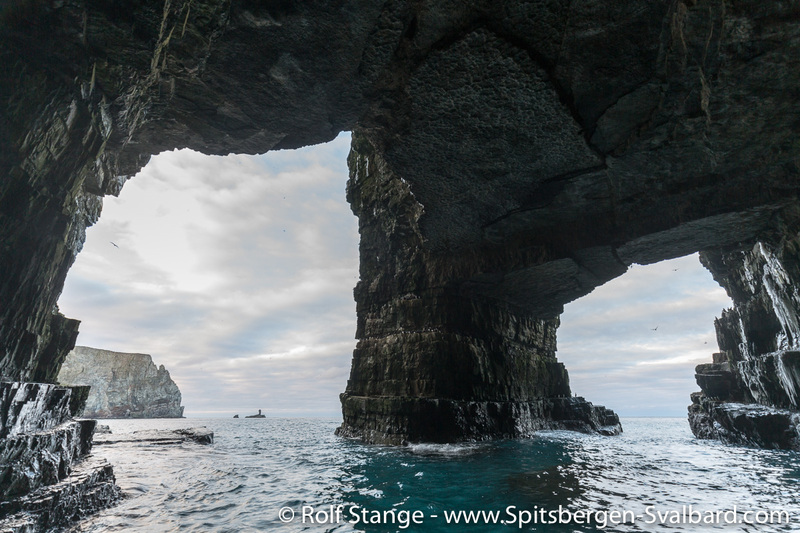 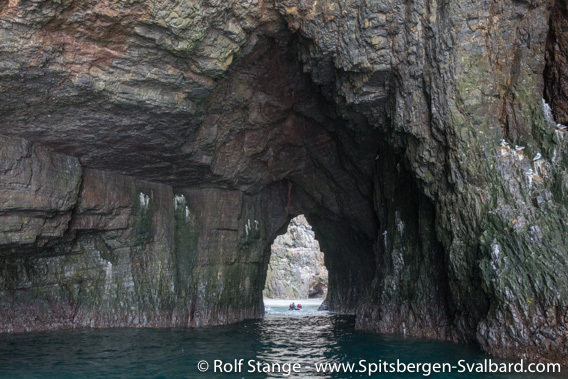 There are several characteristic rock columns (Sylen, Stappen and other ones) and caves such as the famous Perleporten, all created by the constant surf. 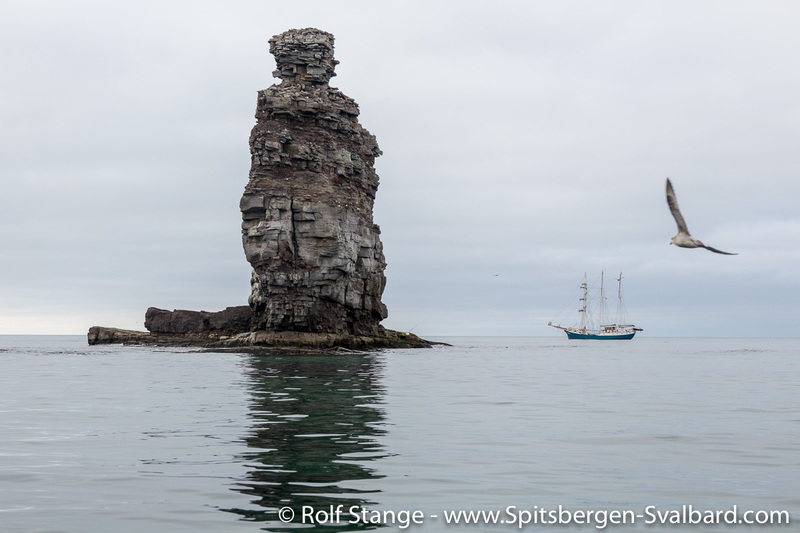 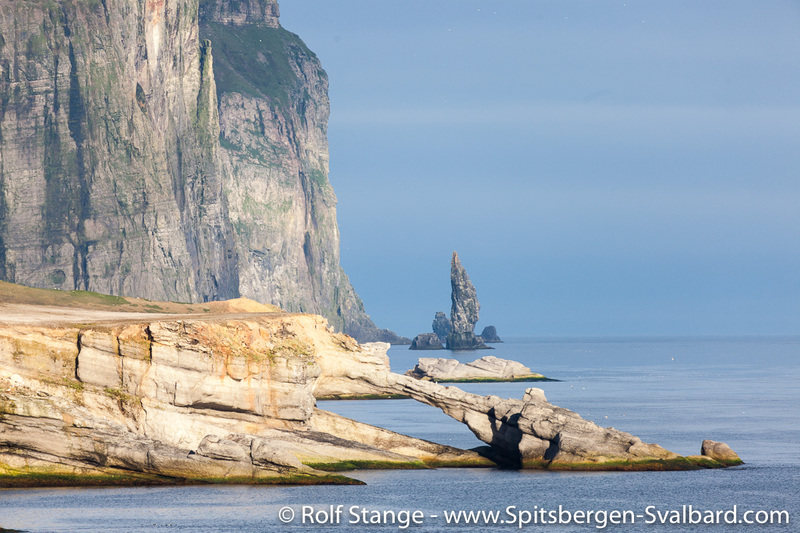 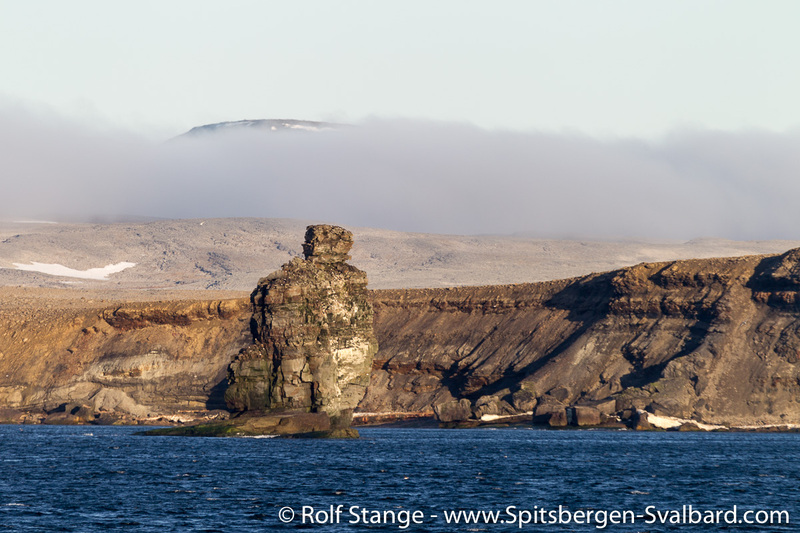 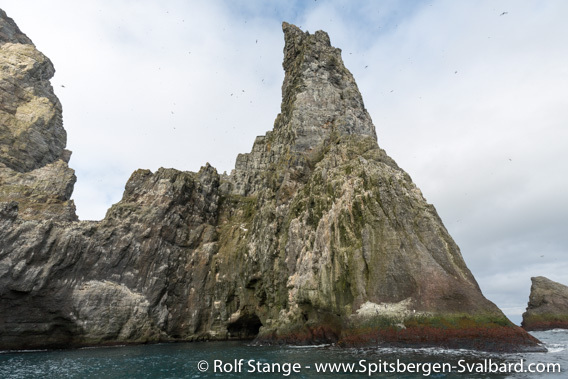 The characteristic Stappen (191 m high), an impressive sea stack at the southern tip of Bjørnøya. 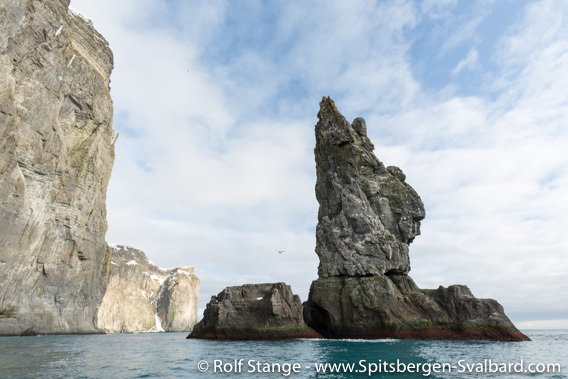 The characteristic Sylen (80 m high), an impressive sea stack on the southwest coast tip of Bjørnøya. 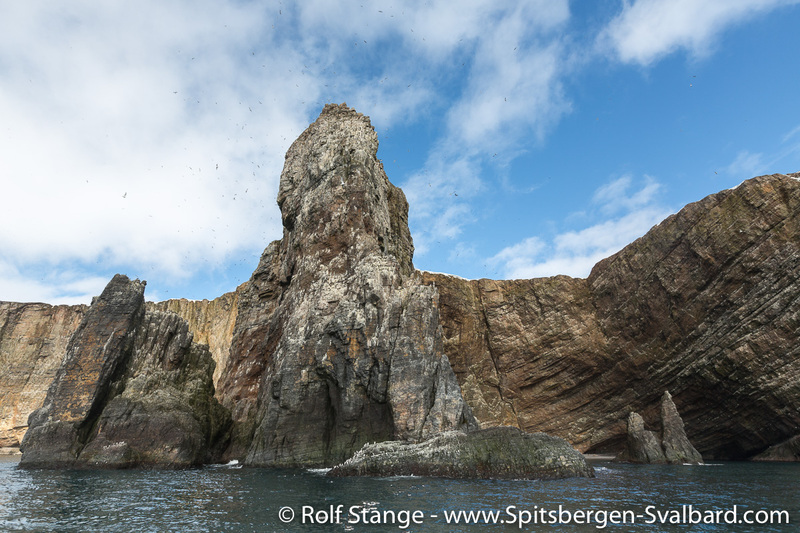 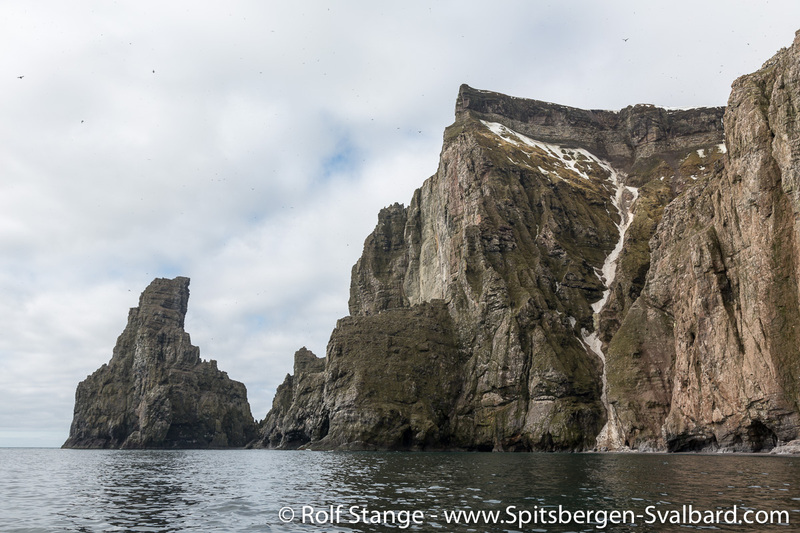 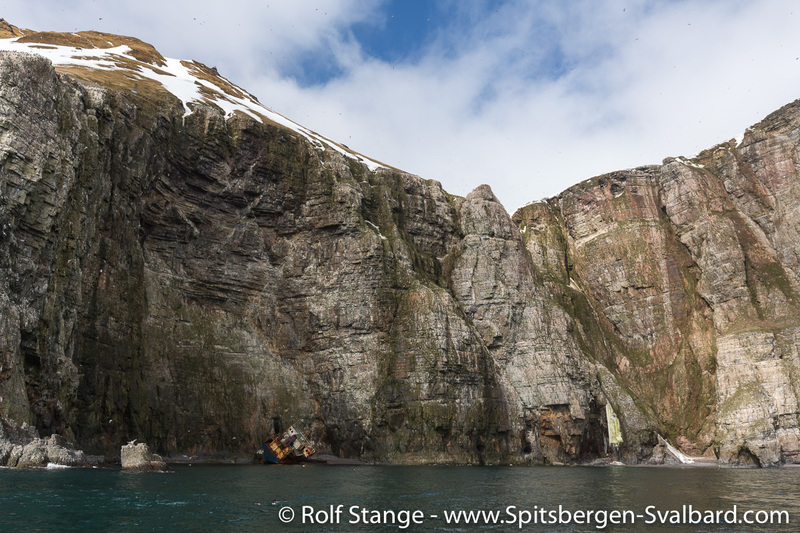 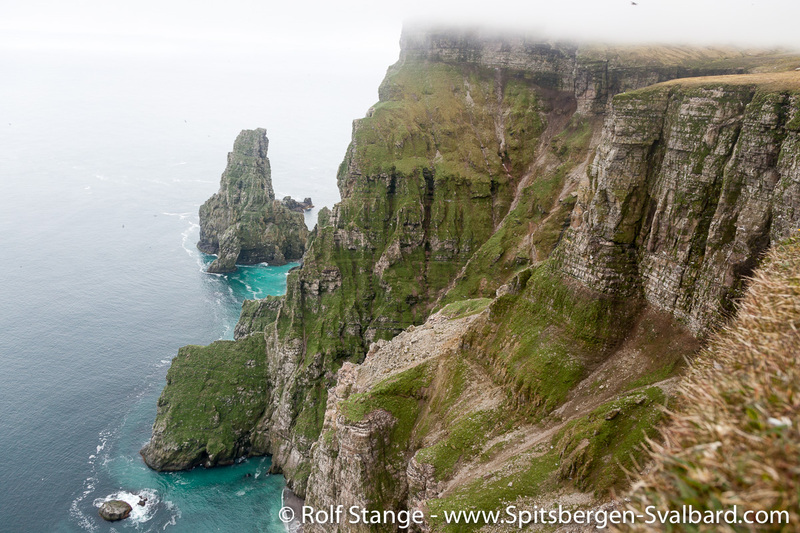 These cliffs are home to some of the largest seabirds colonies of the North Atlantic. 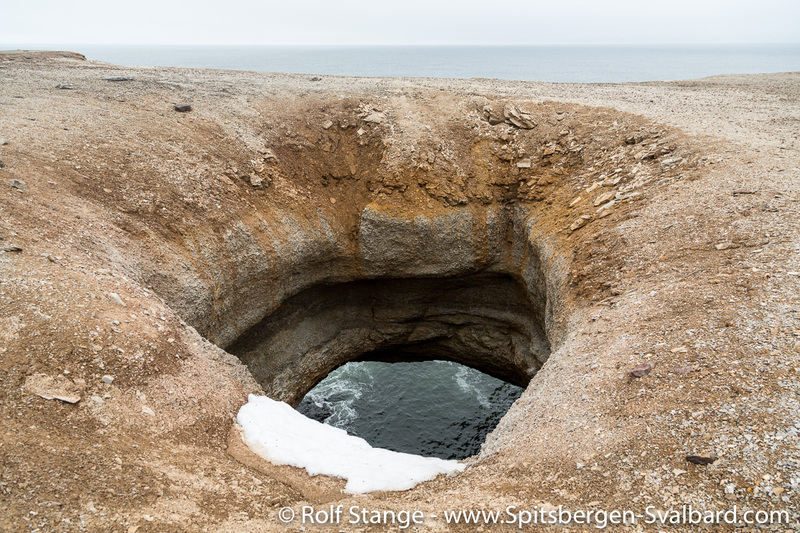 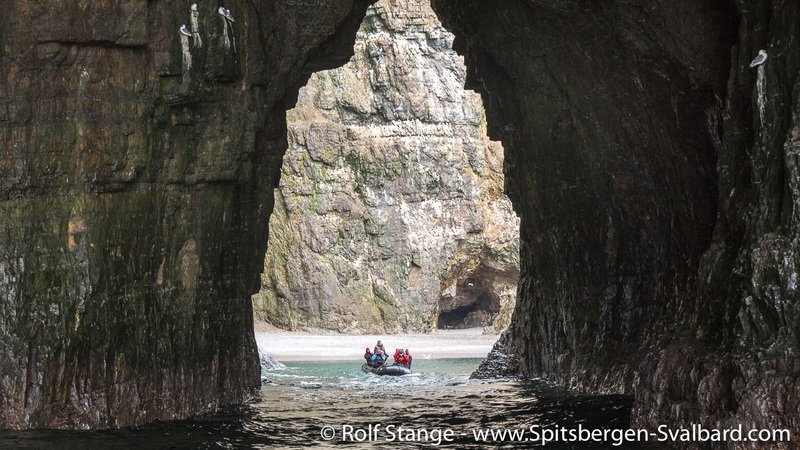 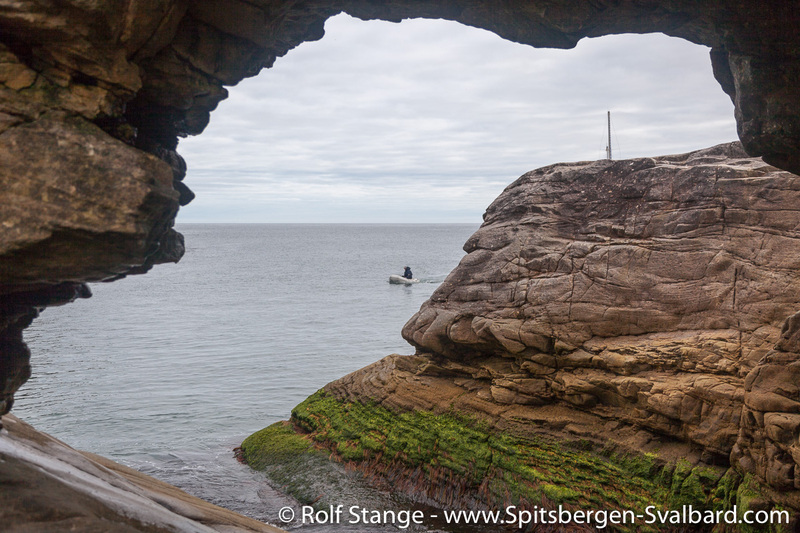 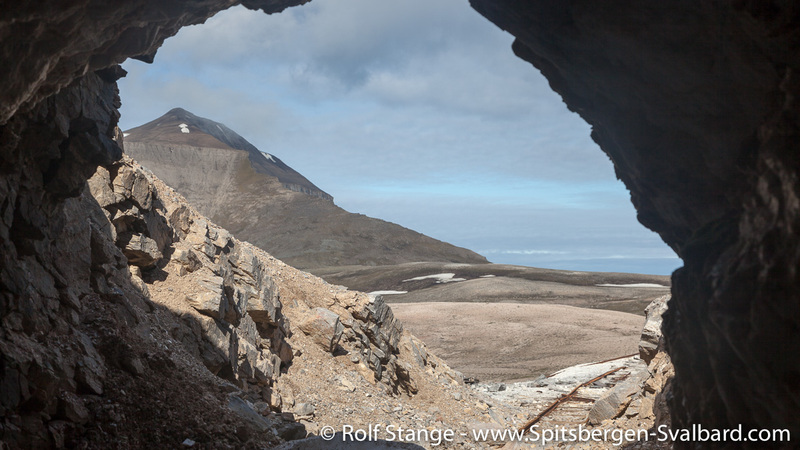 The coastal cave Perleporten became a bit famous through Alistair MacLean’s novel Bear Island from 1971. 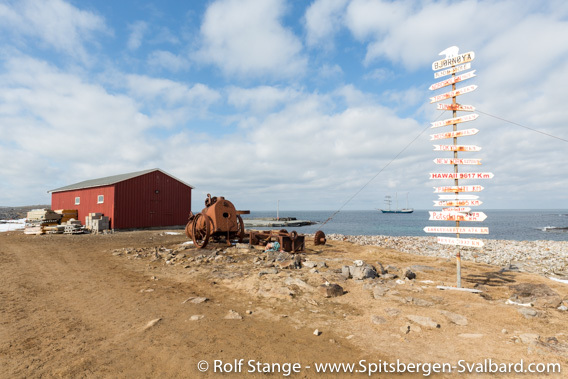 The novel does not have much to do with the reality on the real Bear Island, but Perleporten is without any doubt a fantastic place. 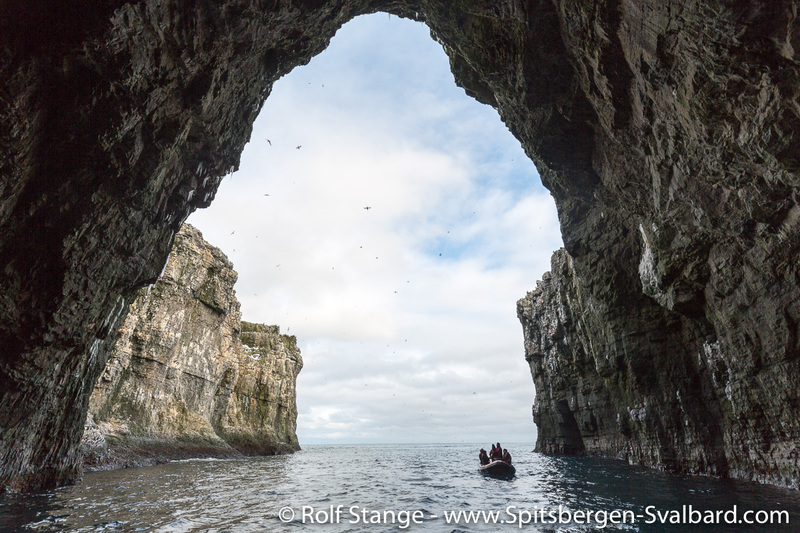 Hard to get to, as the fantastic places in nature tend to be, and it needs good weather and calm seas to go in by small boat, but if it works, then it is definitely an unforgettable experience. 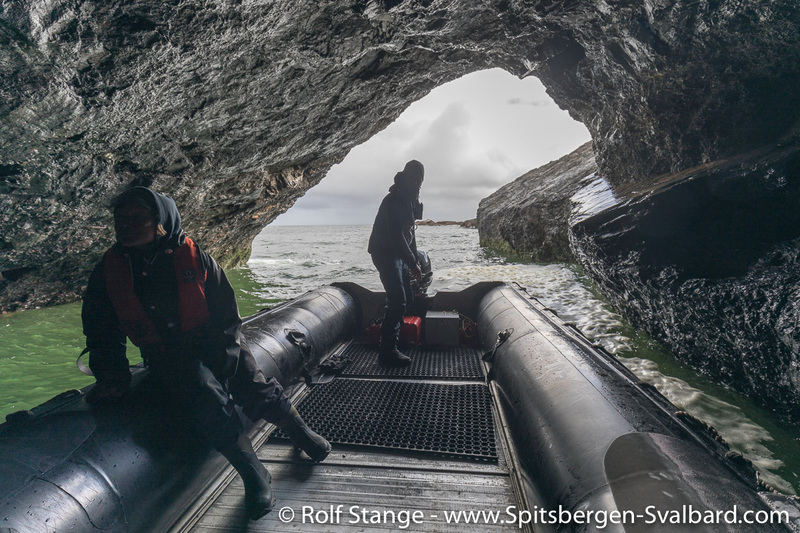 The coastal cave Perleporten cuts through Kapp Kolthoff on the southeast side of Bjørnøya. 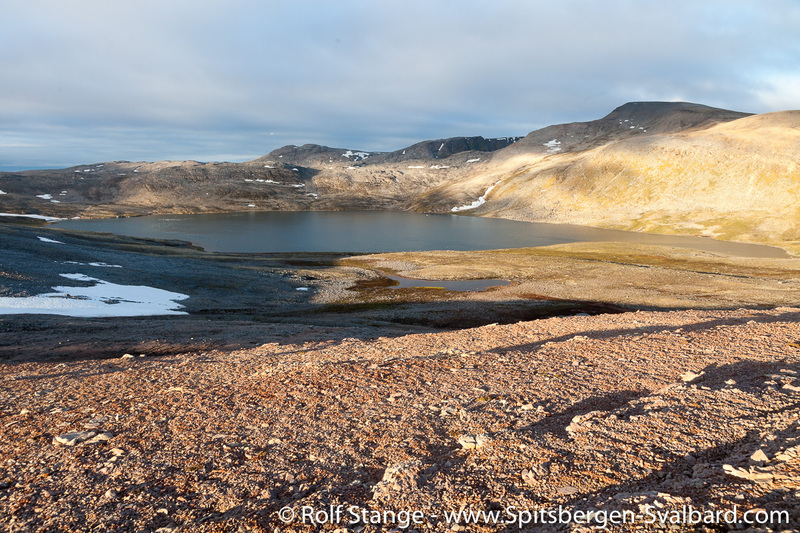 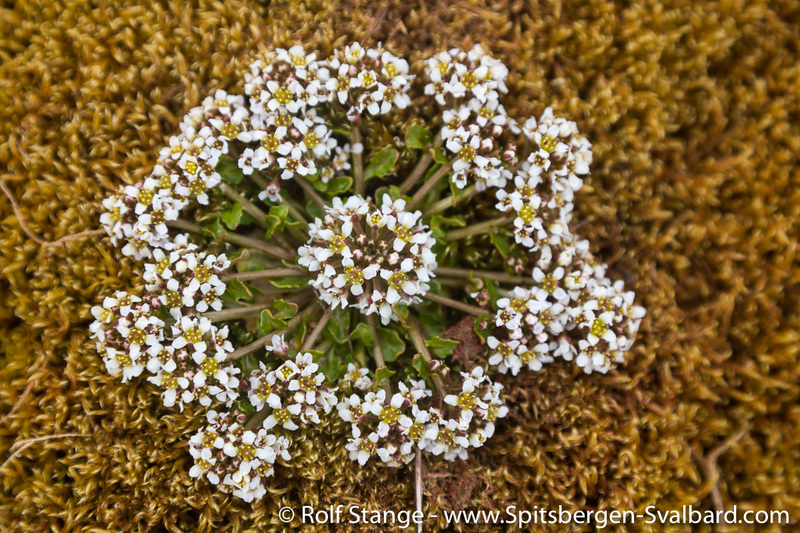 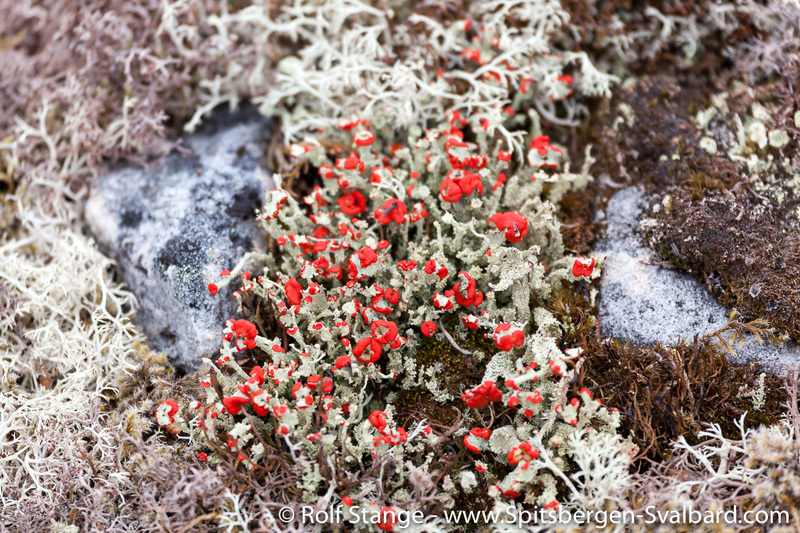 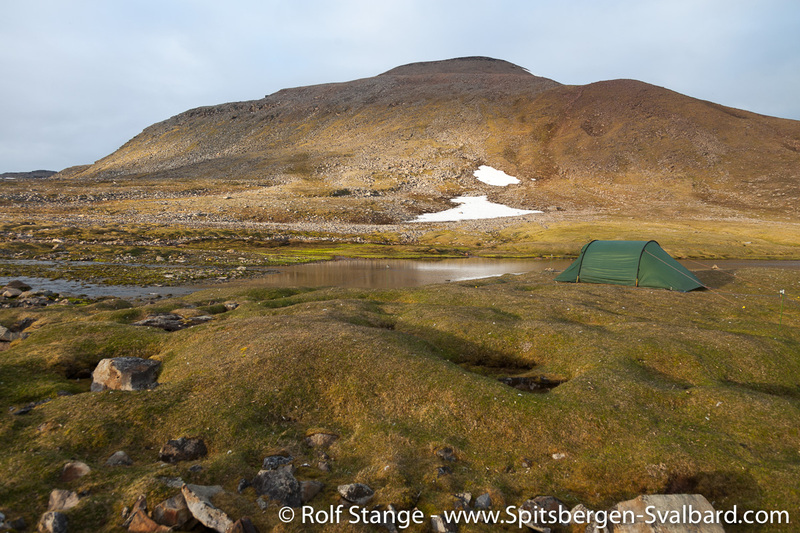 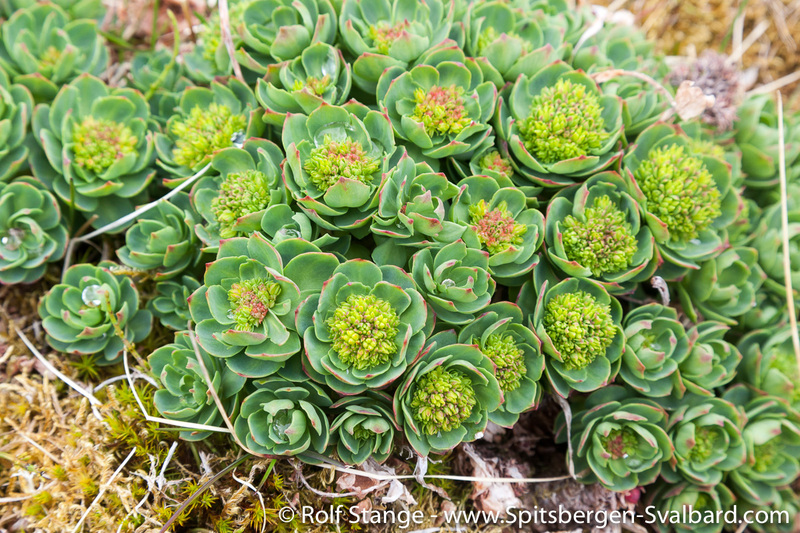 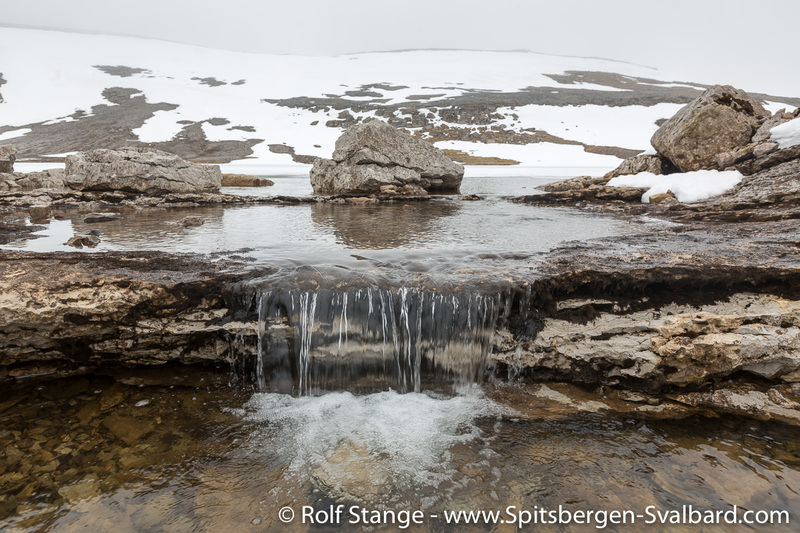 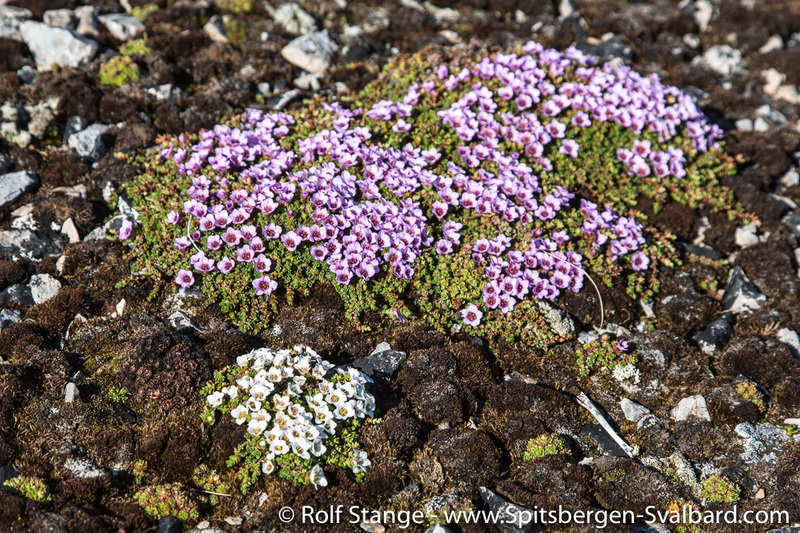 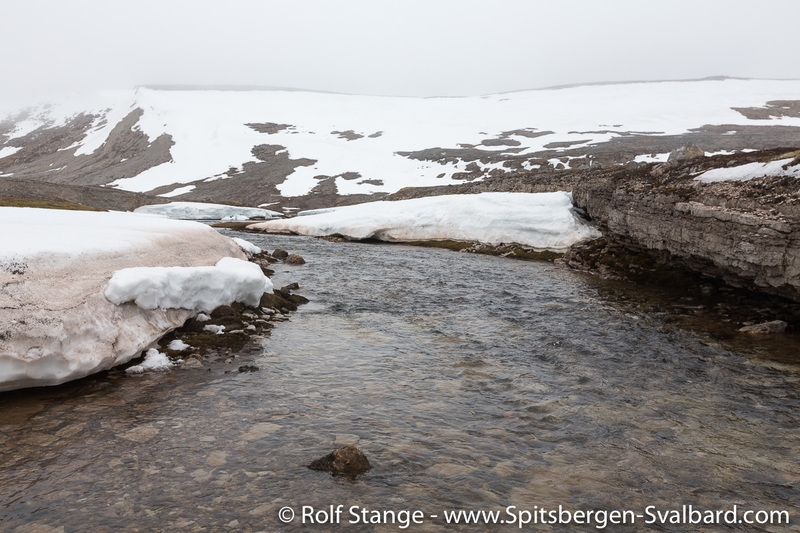 Flora and fauna: The interiour of Bjørnøya is largely devoid of life, apart from the fauna of some of the lakes. 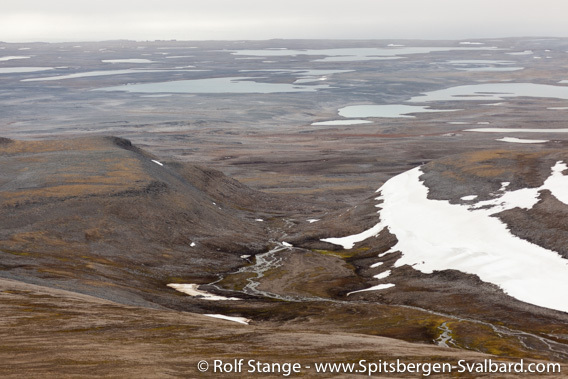 Some of them have Arctic char, which is mostly small, but some cannibalistic individuals have reached considerable size. 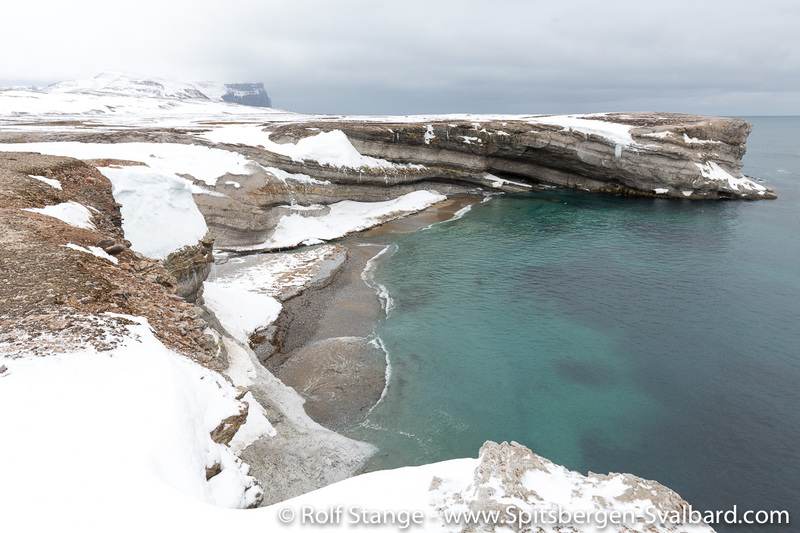 An ornithological specialty is the Great northern diver. 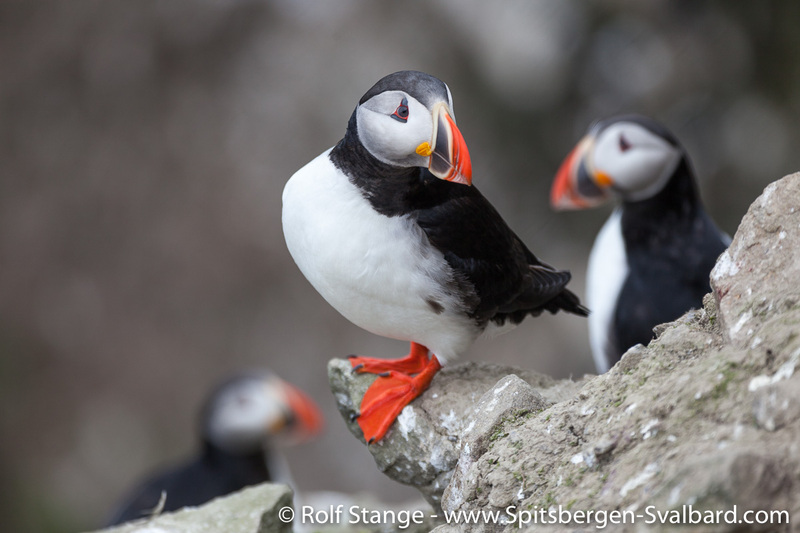 This large bird is very rare on the east side of the Atlantic, it is breeding in Greenland and mostly in northern North America, but a pair has found a home near a lake in the northeastern part of Bjørnøya. 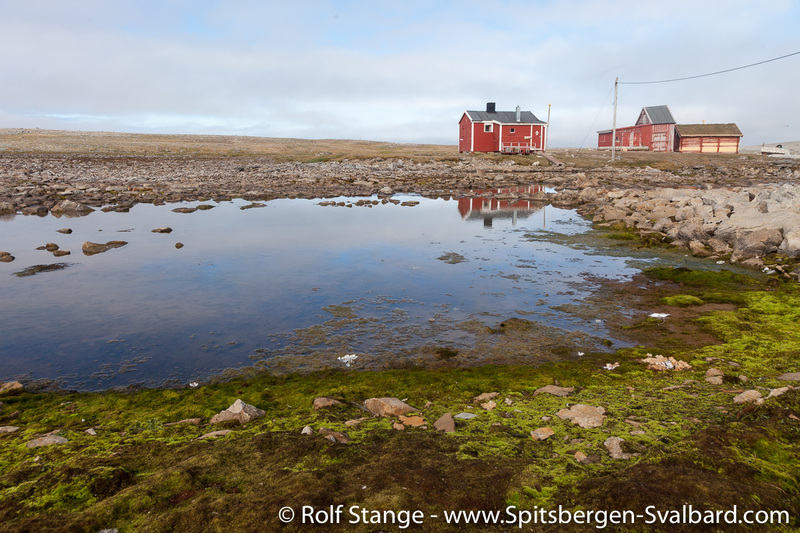 Accordingly, the lake was declared a no-go-area, much to the annoyance of the staff of the weather station, as they lost a popular destination which they had used for fishing. 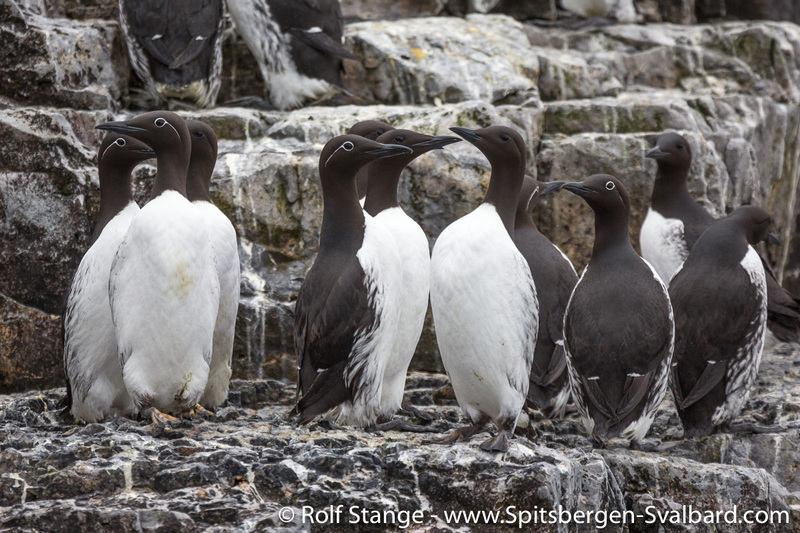 Common guillemots on the southeast coast of Bjørnøya. 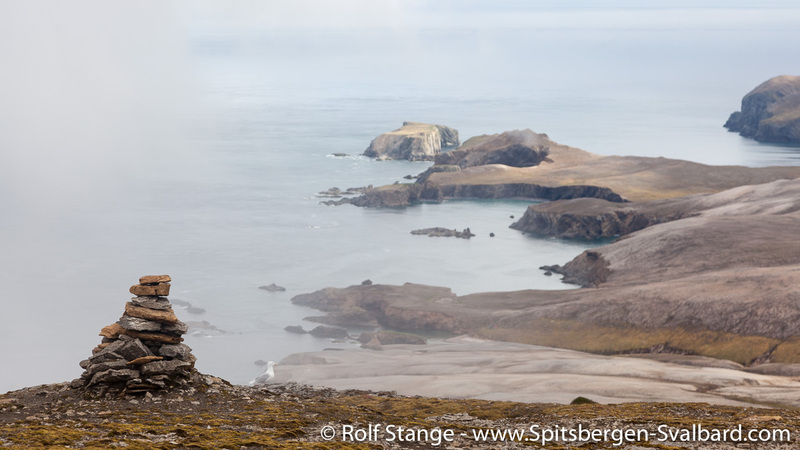 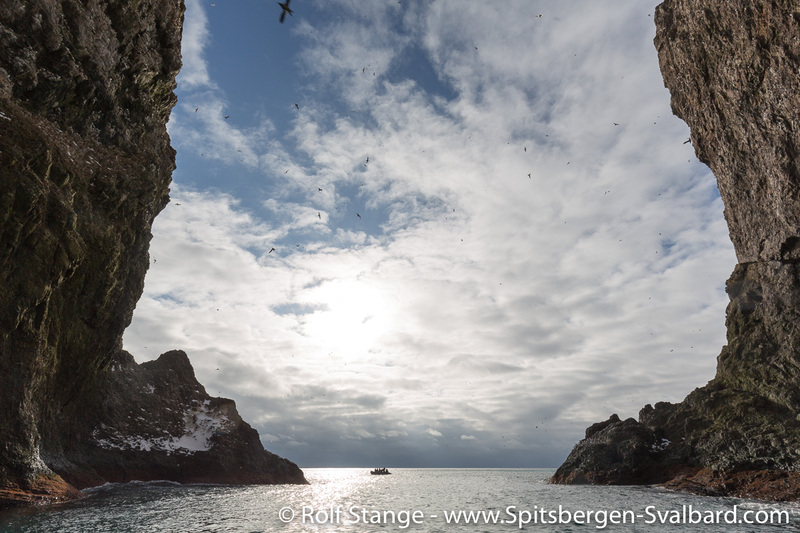 Biologically the most important parts of Bjørnøya are the steep coastal cliffs with their enormous seabirds colonies, especially in the southern half of the island. 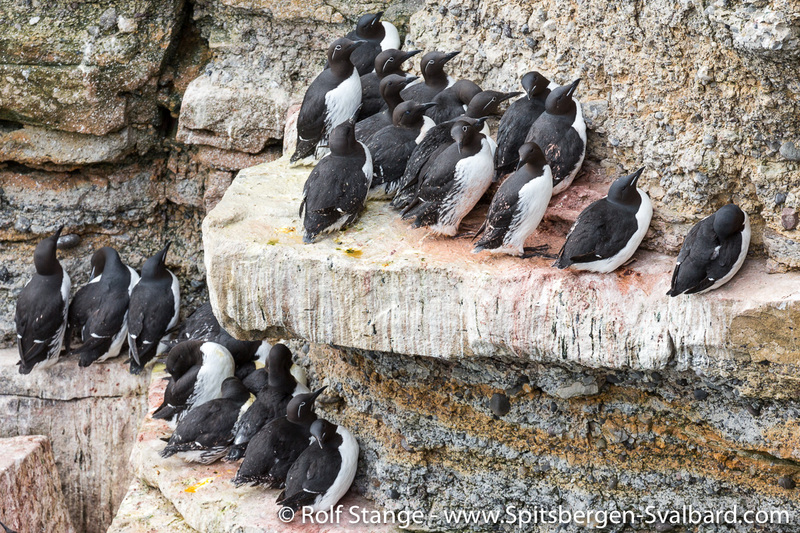 Here, hundreds of thousands of guillemots, both Brünich’s and Common, are breading next to each other. 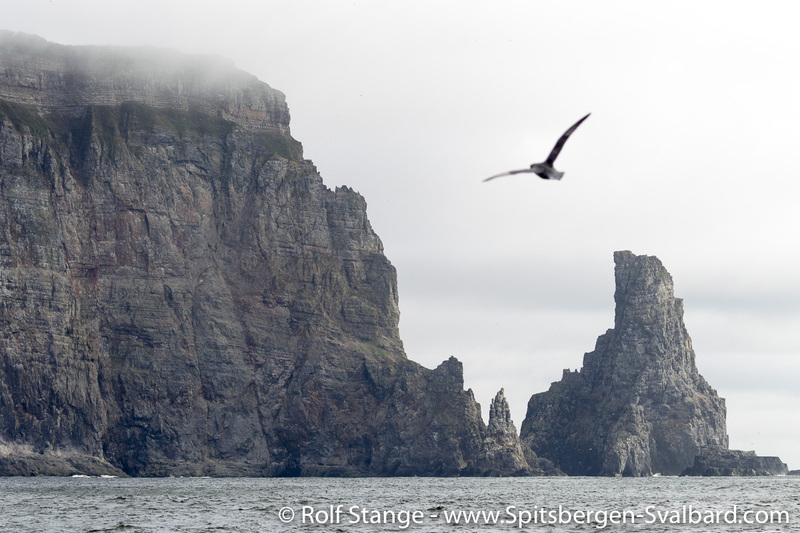 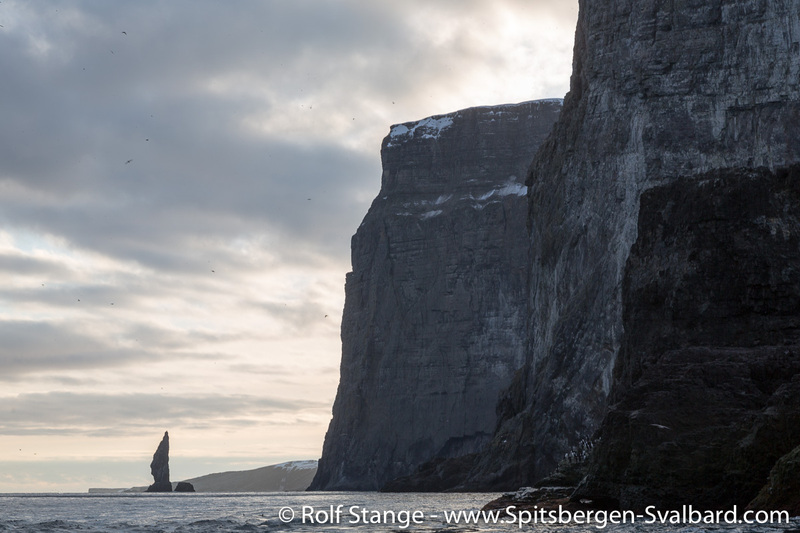 These birdcliffs are amongst the largest ones of the northern hemisphere. 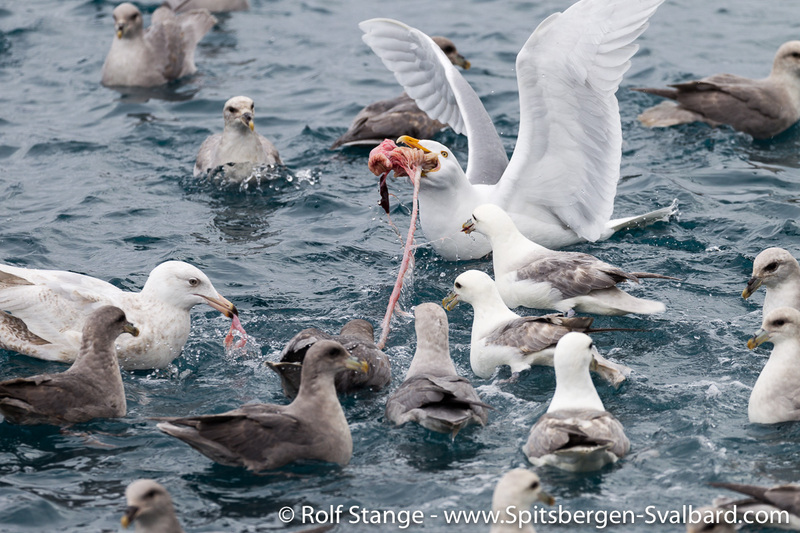 Fishery as well as the oil industry may threat these important breeding sites in the future. 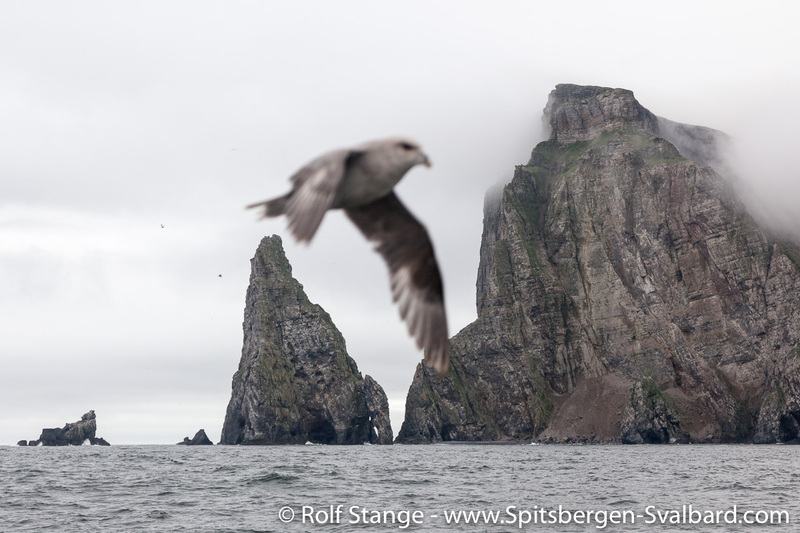 The island itself is protected, but the economical exploitation of the surrounding seas is likely to happen. 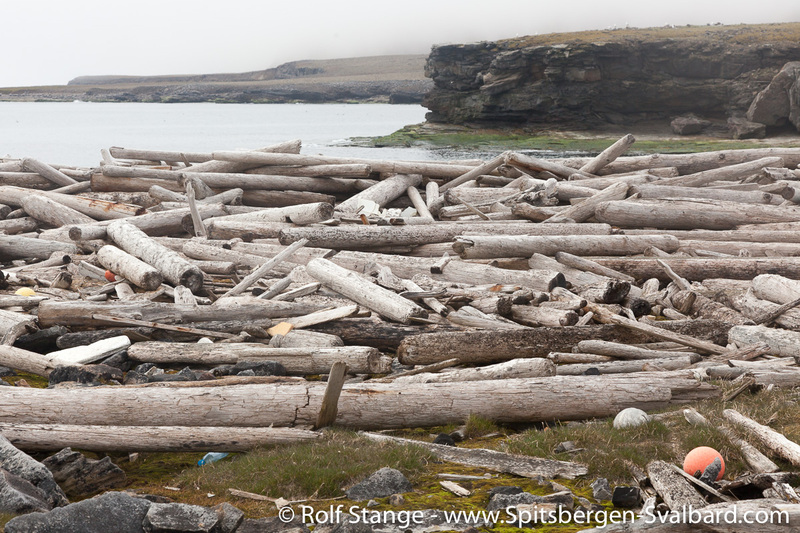 There is a large fishing fleet in the area. 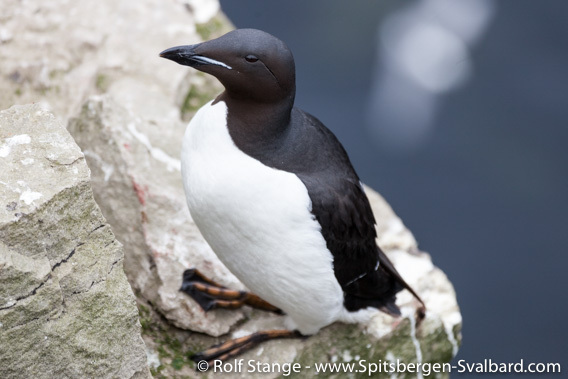 Brünich’s guillemot, east coast of Bjørnøya. 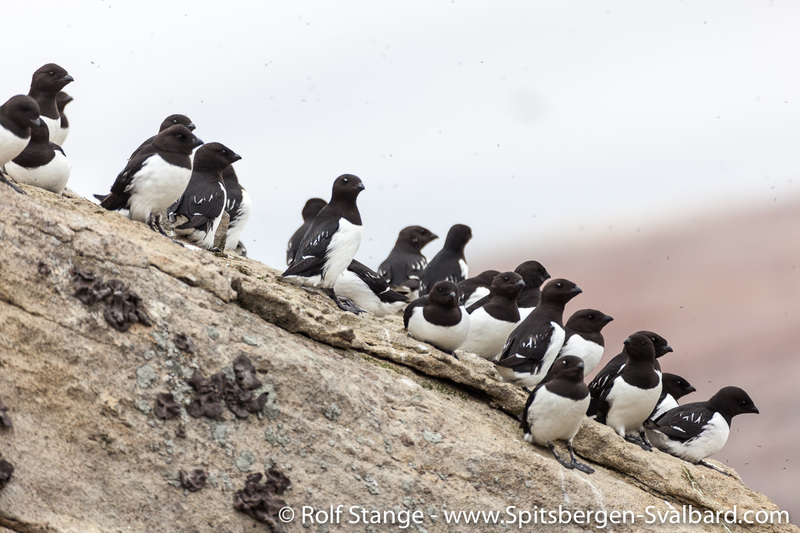 The population of the Common guillemot in Bjørnøya collapsed dramatically in 1986, because some important fish species had been overfished regionally. 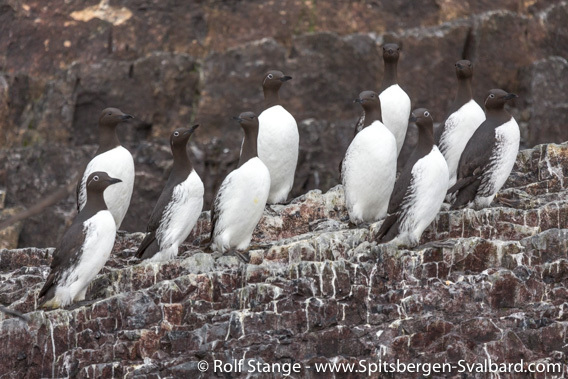 The Brünich’s guillemot with its more diverse menu was not affected, but the Common guillemot has not yet completely recovered. 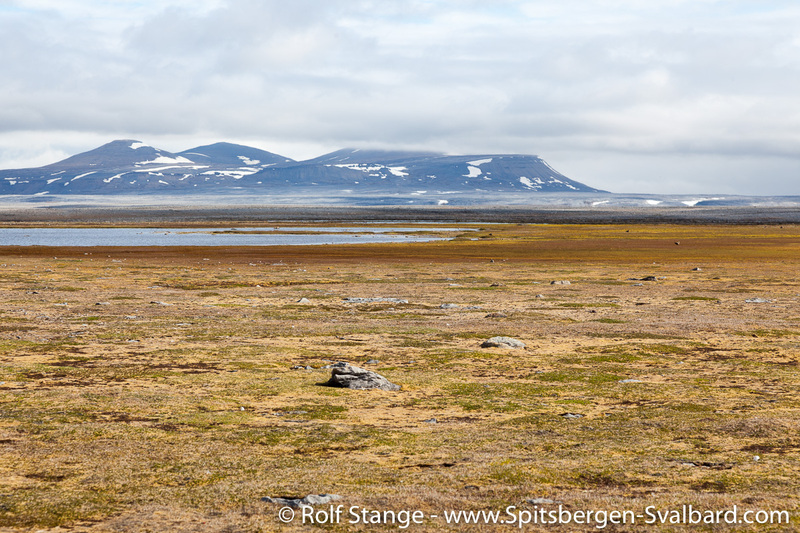 The mammal fauna is rather scarce. 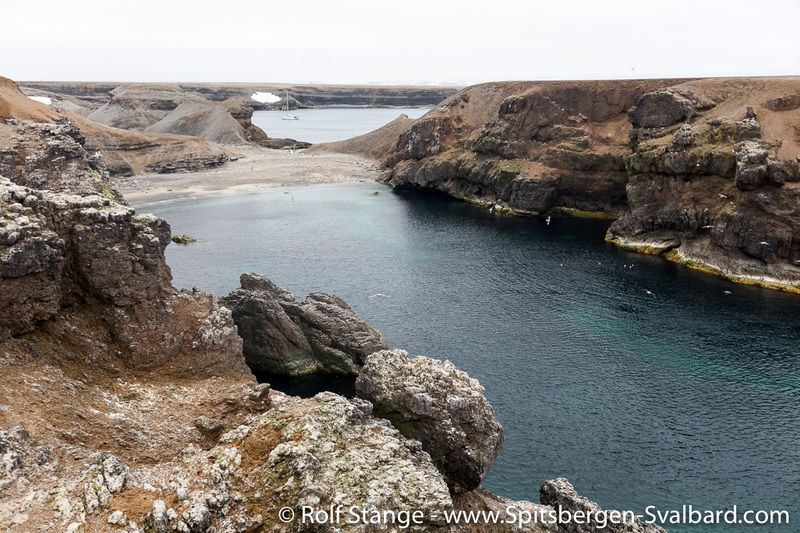 The polar bear, who gave Bjørnøya its name, pays only occasional visits to the island, when it is surrounded by drift ice during the winter. 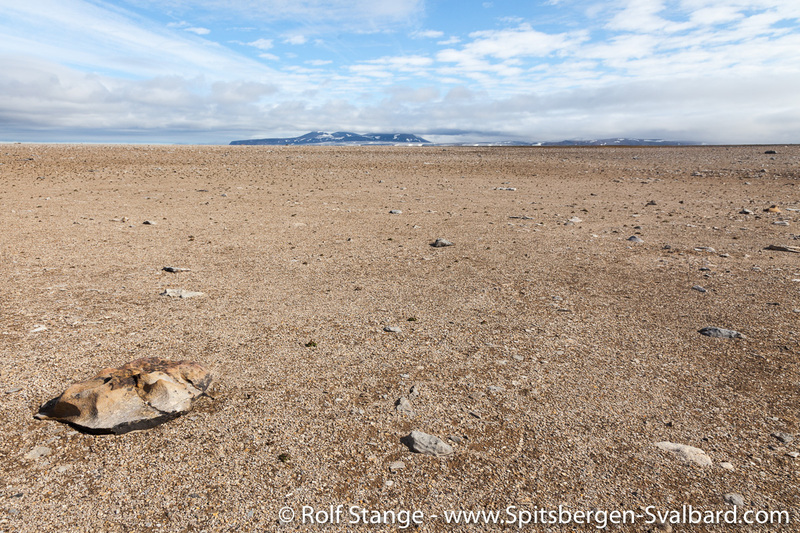 There were enormous walrus colonies in the past, which have been wiped out completely since the early 17th century. 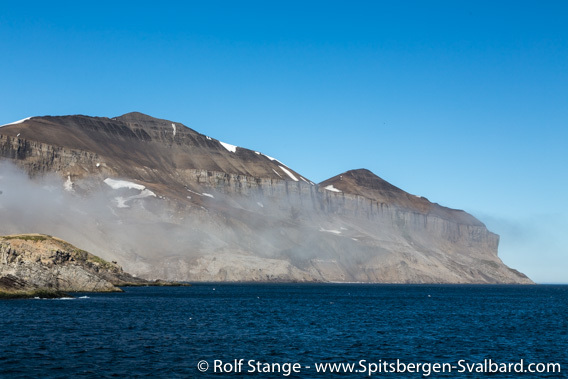 History: Bjørnøya was the first island of the Svalbard archipelago which was discovered by the Dutchman Willem Barentsz during his famous third voyage. 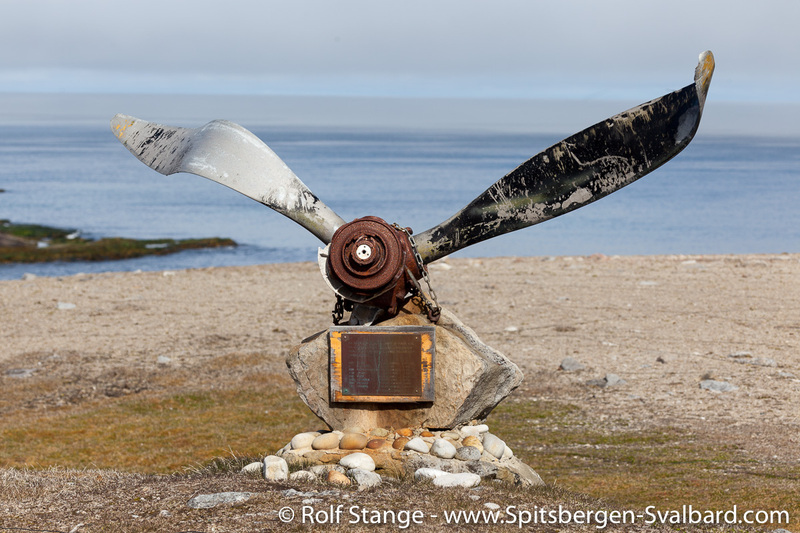 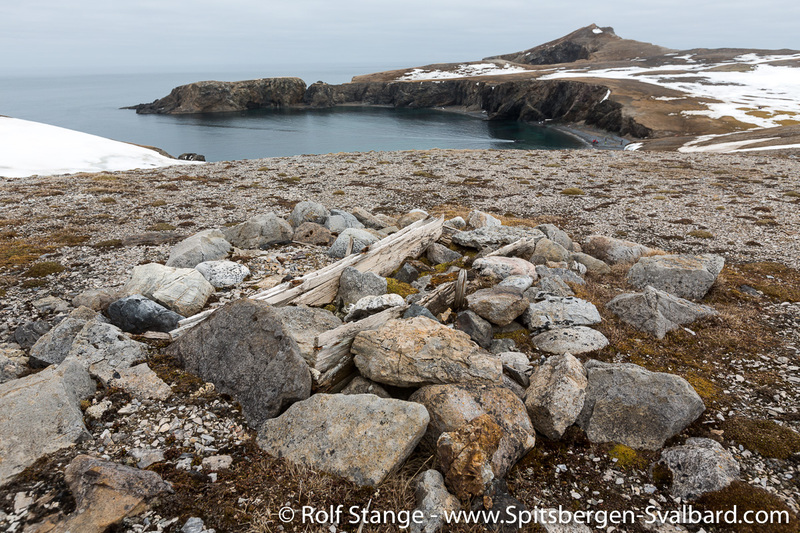 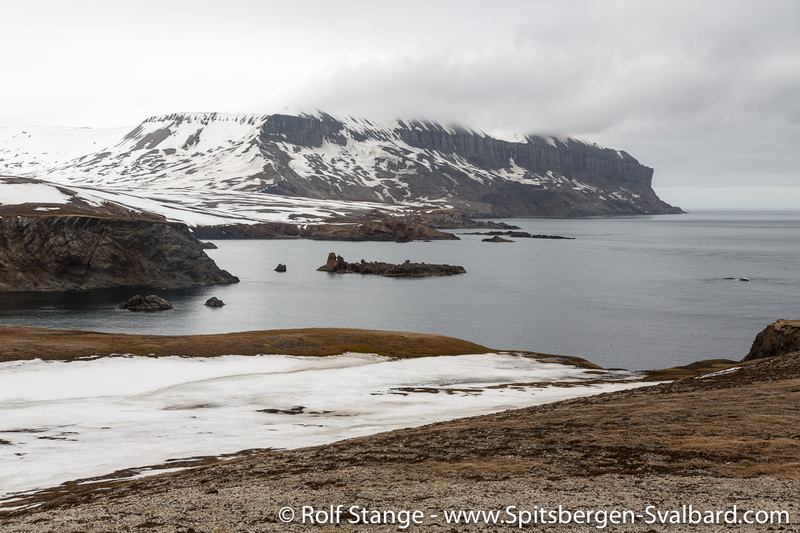 Barentsz reached the island on 10h June 1596 and named it ‘Beeren Eylandt’ (English Bear Island, Norwegian Bjørnøya) as they had a dramatic fight with a polar bear during their first visit to the coast. 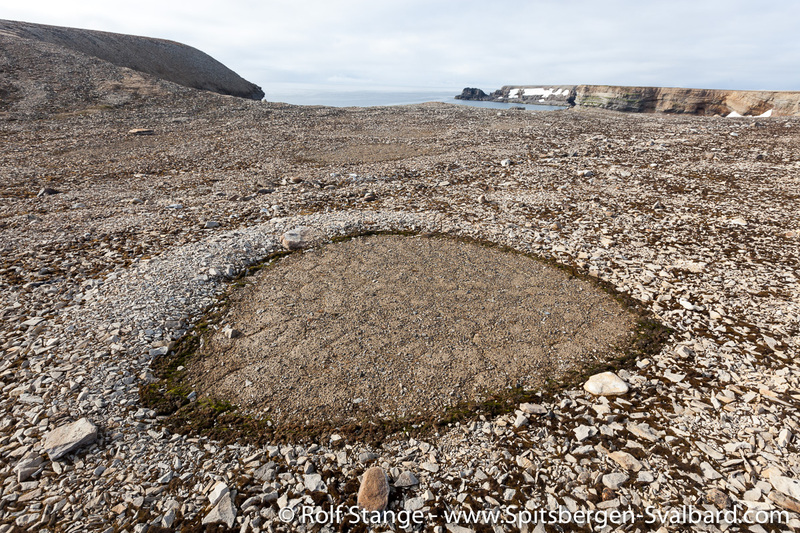 The island has a long history. 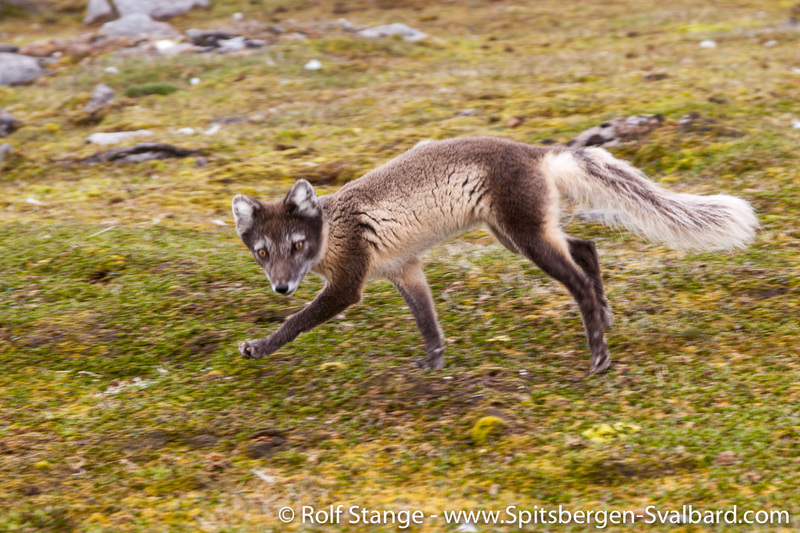 Pomor hunters as well as Norwegian trappers have wintered there many times. 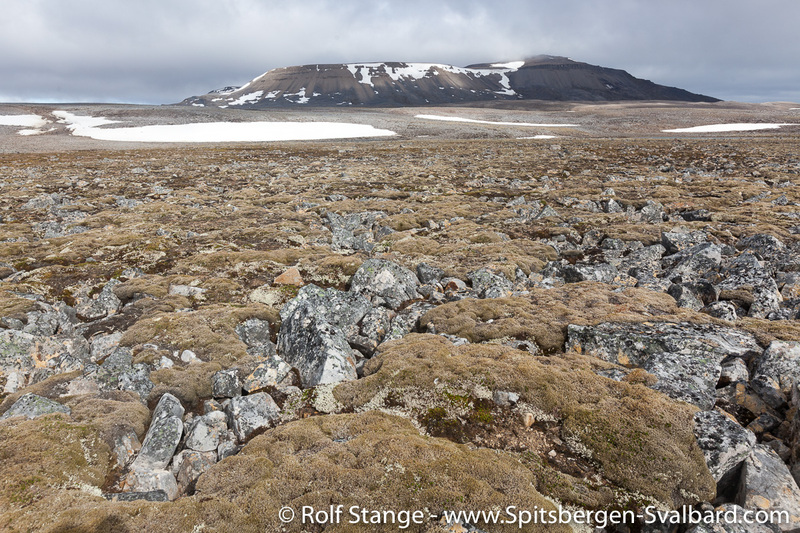 In the late 19th century, the German journalist and self-declared polar expert Theodor Lerner claimed parts of Bjørnøya, but did not establish any long-term activities due to lack of capital (he intended to establish a coal mine). 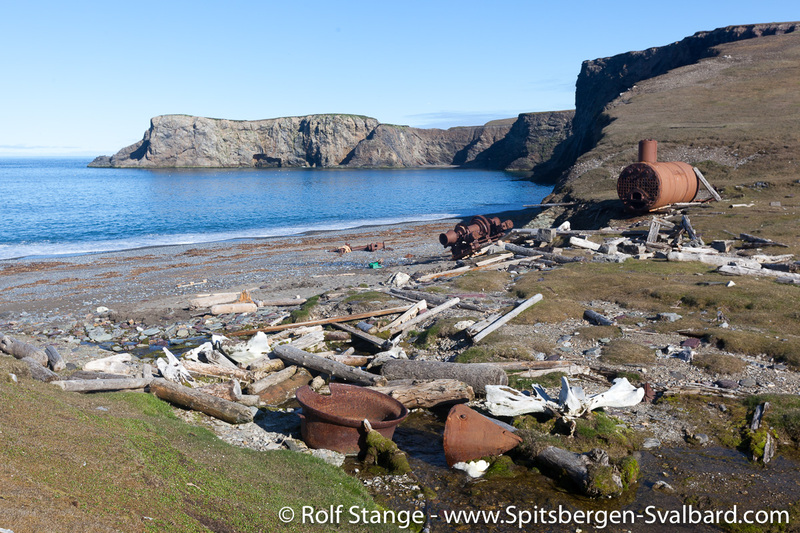 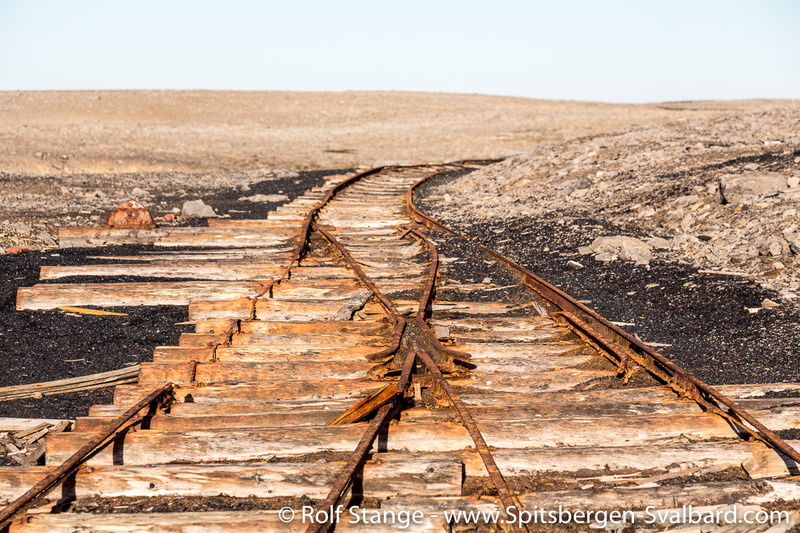 Later, a Norwegian company started coal mining at the northeast coast. 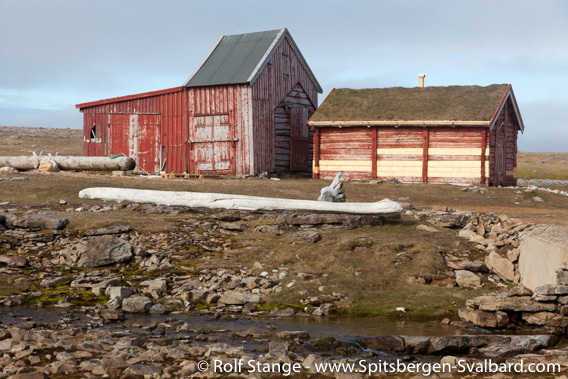 These activities were mostly not economical, and in the 1920s the Norwegian state bought the shares. 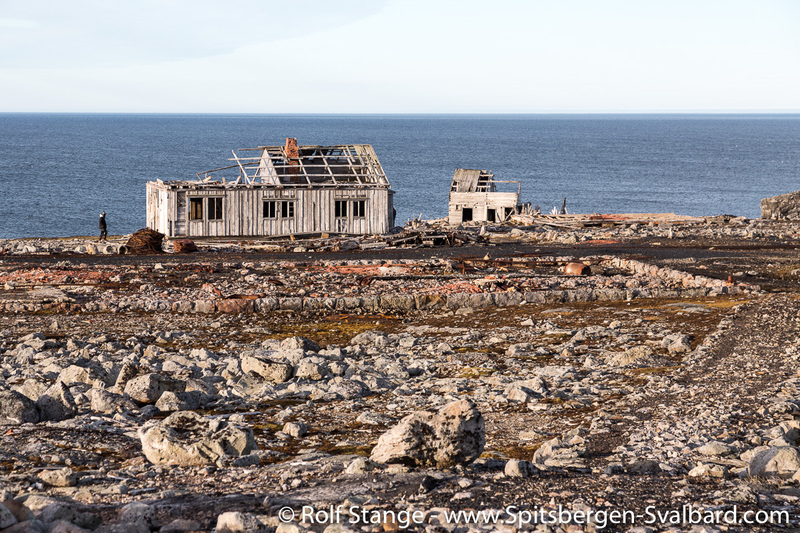 ‘Hammerfesthuset’ (to the right) in direct neighbourhood to the weather station: the oldest house within the whole Svalbard archipelago which is still standing. 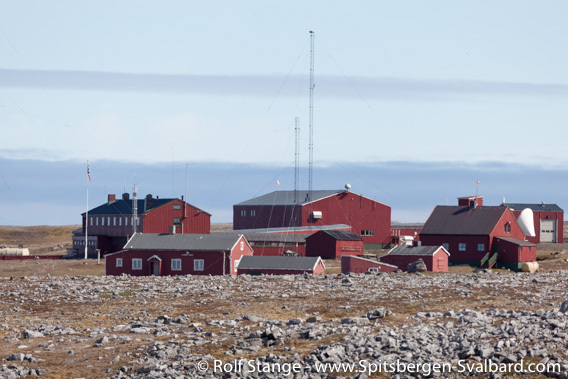 Today the party location of the station. 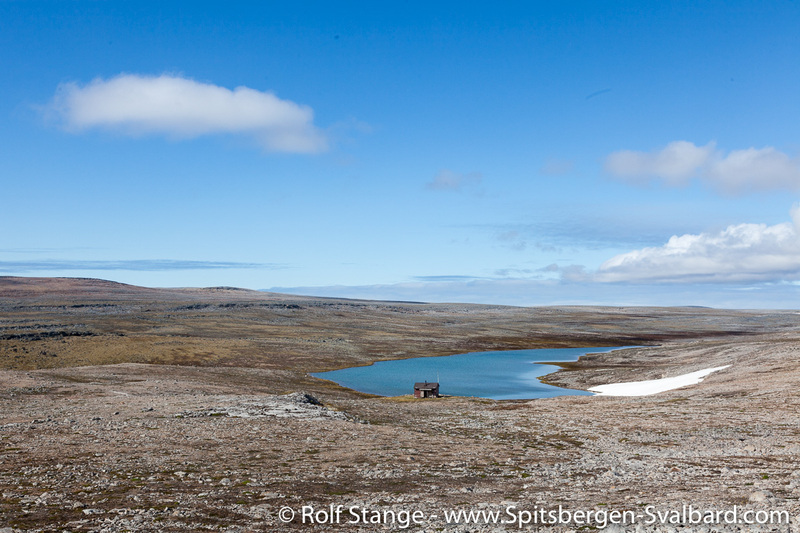 During the Second World War, Germany established a weather station here for a couple of months, but with little success. 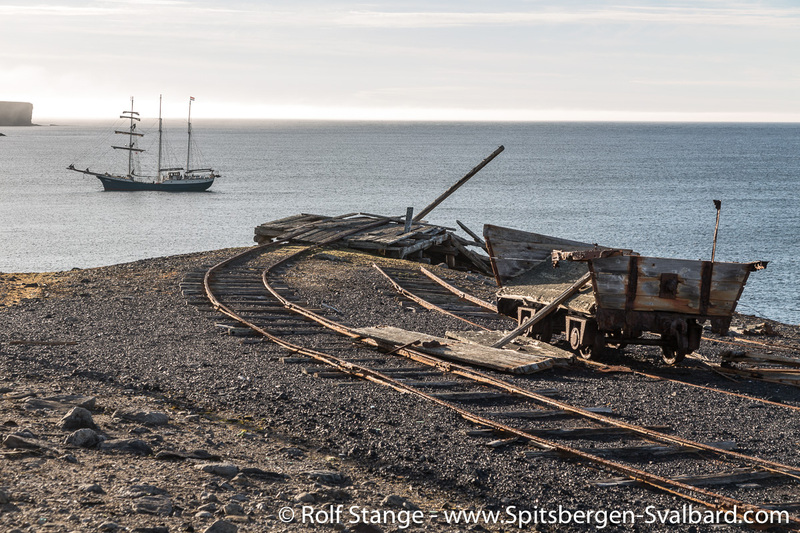 Later, Norway kept a station, which is still operating today. 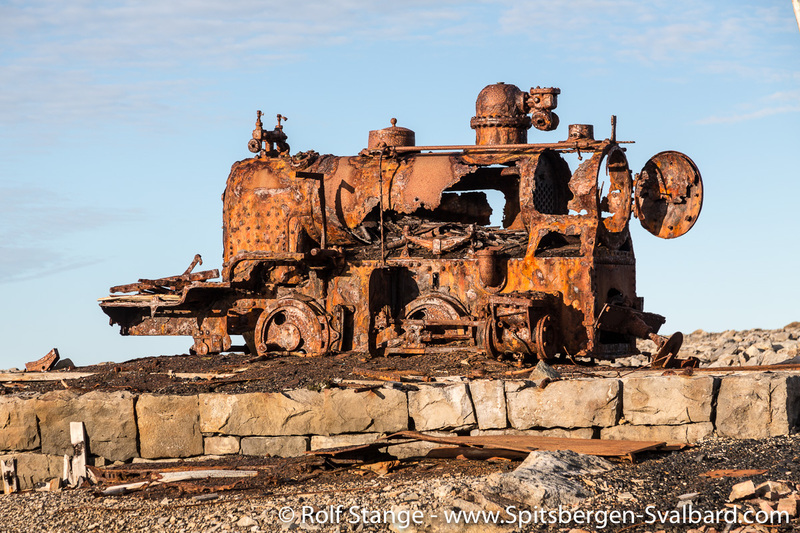 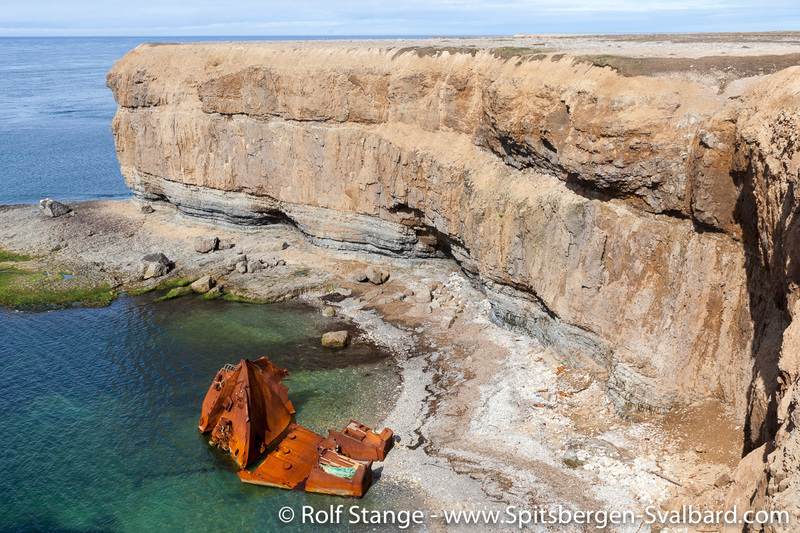 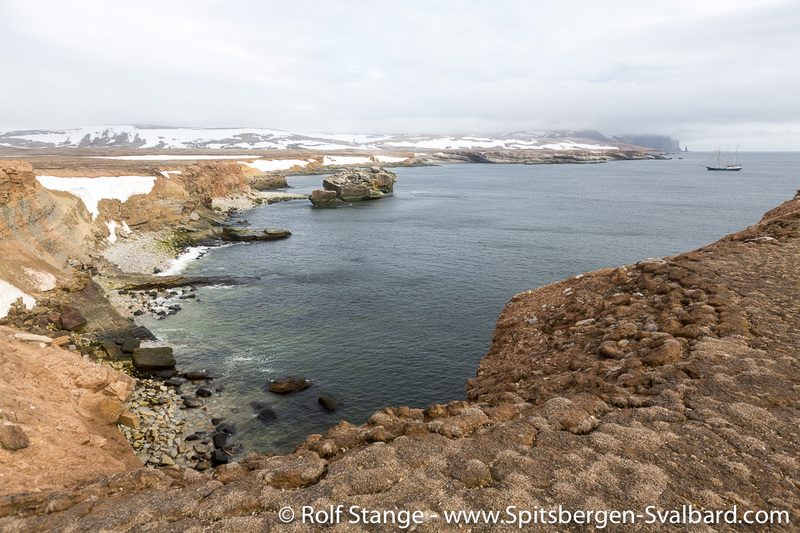 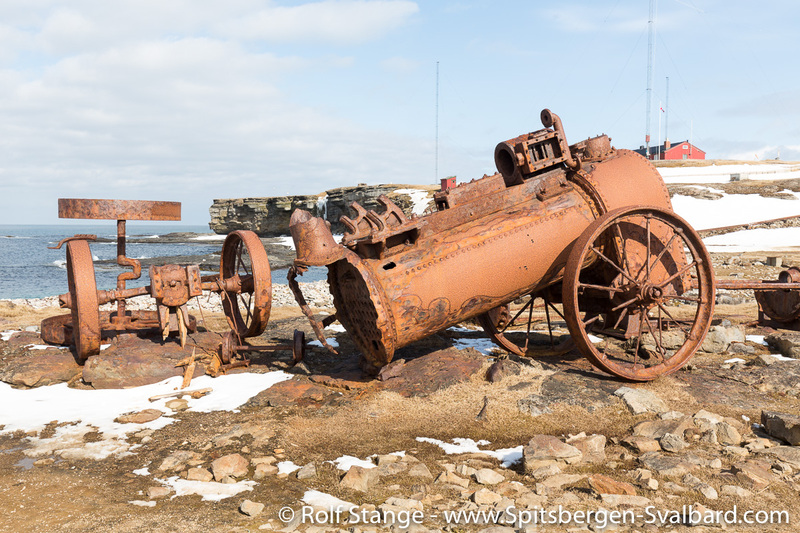 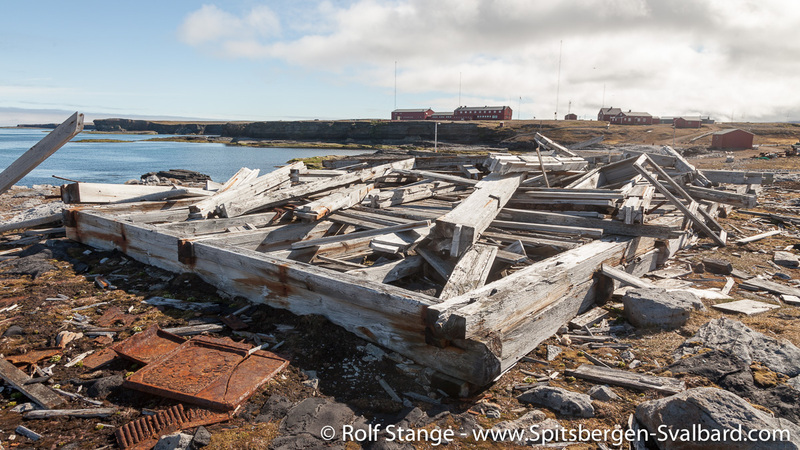 You will find many impressive panorama images from Bear Island and other places in Spitsbergen, Greenland and the Antarctic on “Photos, panoramas, videos & webcams”.